用于修复骨的装置和方法。 Apparatus and method for repairing bone. 所述装置和方法可以涉及将机械载荷从第一骨碎片传递到第二骨碎片。 The method and apparatus may involve mechanical load from a first bone fragment to a second bone fragment. 例如，所述第一骨碎片可以位于所述骨的端部处。 For example, the first bone fragment may be located at an end portion of the bone. 所述第二骨碎片可以位于所述骨的骨干区域中。 The second bone fragment of the bone may be located in the backbone area. 位于所述骨的端部处的所述骨碎片可以由裂纹与位于所述骨的骨干区域中的所述骨碎片分开。 Located in the bone at the end of the bone fragments may be separated from the bone the bone fragments positioned in the backbone of a crack. 所述裂纹可能与载荷从位于所述骨的端部处的所述骨碎片向位于所述骨的骨干区域中的所述骨碎片的传递相干扰。 The cracks may interfere with the load from the bone fragments at the ends of the transmission to the bone the bone fragments of the bone is located in the backbone area. 通过所述装置将载荷经过所述裂纹传递可以促进所述裂纹的愈合。 By means of the load transfer through the cracks may promote healing of the cracks. 本申请是2010年3月8日提交的美国临时申请No. 61/311，494和2010年8月31日提交的美国临时申请No. 61/378,822的非临时申请，这两个临时申请的全部公开内容通过参引的方式并入本文。  This application is US Provisional Application March 8, 2010 filed No. 61 / 311,494 and non-provisional application August 31, 2010 to US Provisional Application No. 61 / 378,822, both of which temporary the entire disclosure is incorporated herein by way of reference in the application. 本公开的各方面涉及提供用于修复骨折的装置及方法。  Aspects of the present disclosure is directed to providing an apparatus and method for repairing fractures. 具体地，本公开涉及用于利用被插入骨内的器械修复骨折的装置及方法。 In particular, the present apparatus and methods are disclosed in repairing a fractured bone inserted in the instrument utilizing relates. 骨折固定术可以涉及使用结构以抵消或部分抵消作用在裂骨或关联骨碎片上的力。  The fracture fixation may involve structures used to counteract or partially offset the force acting on the fractured bone or bone fragments associated. 通常，骨折固定术可以提供纵向的(沿着骨的长轴线）、横向的(横过骨的长轴线）以及旋转的(绕骨的长轴线)稳定性。 Generally, the fracture fixation may be provided (along the long axis of the bone), transverse (across the long axis of the bone) and (around the long axis of the bone) longitudinal stability rotation. 骨折固定术也可以保存常规的生物功能和愈合功能。 Fracture fixation can also save conventional biological function and healing function. 骨折固定术常常涉及解决载荷条件、骨折模式、对准、压缩力和其他因素，这些因素对于不同类型的骨折可能是不同的。  Fracture fixation solution often involves loading conditions, fracture pattern alignment, compression and other factors for different types of fractures may be different. 例如，中段骨折可以具有在裂纹的任一侧上的充足的骨材料，其中锚定器在所述裂纹中被驱动。 For example, middle bone fracture may have sufficient material on either side of the crack, wherein the anchor is driven in the cracks. 端骨骨折、尤其是在关节表面上的骨折可能具有薄的皮质骨、软的松质骨、以及较少的可能锚定位置。 End of fractures, especially fractures of the upper articular surface may have a thin cortical bone, soft cancellous bone, and less likely anchor position. 典型的骨折固定方法可能涉及下述中的一个或两个：（1)位于皮肤内的器械（内部固定）；以及(2)从皮肤中延伸出的器械(外部固定）。 A typical method of fracture fixation may involve one or both of the following: (1) the instrument is located within the skin (internally fixed); and (2) that extends out of the device from the skin (external fixation). 内部固定方法常常涉及被旋拧到骨外侧上的板。  Internal fixation methods often involve the outside is screwed into the bone plate. 板通常特征在于微创的手术、从骨外侧的一侧支承裂骨部段、以及锚定到板和骨内的螺钉。  The plates are typically characterized in that the minimally invasive surgery, fractured bone side of the support portion outside the bone, and an anchor to the bone plate and screws from. 中段骨或端骨的多段骨折可能需要以在多个方向上产生充分固定的方式的对准和稳定性。  The middle or end of a bone fracture of bone segments may need more adequate to produce a fixed manner in a plurality of directions and alignment stability. 植入物可以用来治疗中段骨折和端骨骨折。 The implant can be used to treat bone fractures in the middle and the end of fracture. 除了其他因素以外，骨碎片和解剖结构特征的正确定位、尺寸、形状、方向和接入性可以增大植入物的医疗效果。  In addition to other factors, bone fragments and anatomical features of the correct positioning, size, shape, orientation, and medical effects can increase the accessibility of the implant. 由此，理想的是提供用于修复骨的装置和方法。  Accordingly, it is desirable to provide an apparatus and method for repairing a bone. 图1示出了连同示例性解剖结构一起的根据本发明的原理的示例性装置，本发明可以与该解剖结构相结合地实施。  FIG. 1 shows an exemplary anatomy along with an exemplary apparatus in accordance with the principles of the present invention can be implemented in combination with the anatomical structure of the present invention. 图2示出了图1中所示的装置和解剖结构沿着线2-2 (图1中所示)截取的视图。  FIG. 2 shows the device and the anatomy shown in Figure 1 taken along line 2-2 (shown in FIG. 1) taken the view. [00M]图3示出了图1中所示的装置和解剖结构沿着线3-3 (图1中所示)截取的视图。 [00M] FIG. 3 shows the device and the anatomy shown in Figure 1 taken along line 3-3 (shown in FIG. 1) taken the view. 图4示出了图1中所示的装置和解剖结构沿着线4-4 (图1中所示)截取的视图。  FIG. 4 shows the device and the anatomy shown in Figure 1 taken along line 4-4 (shown in FIG. 1) taken the view. 图5示出了图1中所示的解剖结构。  FIG. 5 shows the anatomy shown in FIG. 1. 图6示出了图1中所示的装置的一部分和图1中所示的解剖结构的一部分。  FIG. 6 shows a part of the anatomy of the part of the device shown in FIG. 1 and in FIG. 1 in. 图7示出了根据本发明的原理的另一示例性装置。  FIG. 7 illustrates another exemplary apparatus in accordance with the principles of the invention. 图8示出了图7中所示的装置沿着线8-8 (图7中所示)截取的局部截面图。  FIG. 8 shows a partial cross-sectional view of the apparatus shown in FIG. 7 taken along line 8-8 (shown in FIG. 7) taken. 图9示出了根据本发明的原理的又一示例性装置。  FIG. 9 shows a further exemplary apparatus in accordance with the principles of the invention. 图10示出了连同示例性解剖结构一起的根据本发明的原理的又一示例性装置，本发明可以与该解剖结构相结合地实施。  FIG. 10 illustrates an exemplary anatomy along with still another exemplary apparatus in accordance with the principles of the present invention can be implemented in combination with the anatomical structure of the present invention. 图11示出了图10中所示的装置和解剖结构的沿着线11-11(图10中所示)截取的视图。  FIG. 11 illustrates along line 11-11 (shown in FIG. 10) and a view of the device taken anatomical structure 10 shown in FIG. 图12A示出了连同示例性解剖结构一起的根据本发明的原理的又一示例性装置， 本发明可以与该解剖结构相结合地实施。  FIG 12A illustrates an exemplary anatomy along with still another exemplary apparatus in accordance with the principles of the present invention can be implemented in combination with the anatomical structure of the present invention. 图12B示出了根据本发明的原理的又一示例性装置。  FIG. 12B shows a further exemplary apparatus in accordance with the principles of the invention. 图13示出了图12A中所示的装置和解剖结构的沿着线13-13(图12A中所示)截取的视图。  FIG. 13 illustrates along line 13-13 (shown in FIG. 12A) and a view of the device taken anatomy shown in FIG. 12A. 图14示出了根据本发明的原理的又一示例性装置。  FIG. 14 shows a further exemplary apparatus in accordance with the principles of the invention. 图15示出了根据本发明的原理的又一示例性装置。  FIG. 15 shows a further exemplary apparatus in accordance with the principles of the invention. 图16示出了图15中所示的装置的沿着线16-16(图15中所示)截取的视图。  FIG. 16 shows a view along lines 16-16 (shown in FIG. 15) taken apparatus 15 shown in FIG. 图17示出了连同示例性解剖结构一起的根据本发明的原理的又一示例性装置，本发明可以与该解剖结构相结合地实施。  FIG 17 illustrates an exemplary anatomy along with still another exemplary apparatus in accordance with the principles of the present invention can be implemented in combination with the anatomical structure of the present invention. 图18示出了连同示例性解剖结构一起的可以与根据本发明的原理的装置结合使用的装置，本发明可以与该解剖结构相结合地实施。  FIG. 18 shows an example in conjunction with the anatomical structure may be implemented in conjunction with the apparatus used in conjunction with the apparatus according to the invention the principles of the present invention, the anatomical structure. 图19示出了根据本发明的原理的又一示例性装置。  FIG. 19 shows a further exemplary apparatus in accordance with the principles of the invention. 图20示出了根据本发明的原理的又一示例性装置。  FIG. 20 shows a further exemplary apparatus in accordance with the principles of the invention. 图21示出了连同示例性解剖结构一起的根据本发明的原理的又一示例性装置，本发明可以与该解剖结构相结合地实施。  FIG 21 illustrates an exemplary anatomy along with still another exemplary apparatus in accordance with the principles of the present invention can be implemented in combination with the anatomical structure of the present invention. 图22示出了连同示例性解剖结构一起的根据本发明的原理的又一示例性装置，本发明可以与该解剖结构相结合地实施。  FIG. 22 illustrates an exemplary anatomy along with still another exemplary apparatus in accordance with the principles of the present invention can be implemented in combination with the anatomical structure of the present invention. 图23示出了根据本发明的原理的又一示例性装置。  FIG. 23 shows a further exemplary apparatus in accordance with the principles of the invention. 图24示出了根据本发明的原理的又一示例性装置。  FIG. 24 shows a further exemplary apparatus in accordance with the principles of the invention. 图25示出了图24中所示的装置的沿着线25-25 (图24中所示)截取的视图。  FIG. 25 shows a view along lines 25-25 (shown in FIG. 24) taken apparatus 24 shown in FIG. 图26示意性示出了图25的装置的示例性实施例，所示装置处于与图25中所示状态不同的状态下。  FIG. 26 schematically illustrates an exemplary embodiment of the apparatus of FIG. 25, the apparatus shown in FIG. 25 and the state shown in different states. 图27示出了另一示例性解剖结构，本发明可以与该解剖结构相结合地实施。  FIG. 27 illustrates another exemplary anatomy, can be implemented in combination with the anatomical structure of the present invention. 图28示出了又一示例性解剖结构，本发明可以与该解剖结构相结合地实施。  FIG. 28 shows a further exemplary anatomy, can be implemented in combination with the anatomical structure of the present invention. 提供了用于修复骨的装置和方法。  Apparatus and methods for repairing bone. 所述装置和方法可以涉及将机械载荷从第一骨碎片传递到第二骨碎片。 The method and apparatus may involve mechanical load from a first bone fragment to a second bone fragment. 所述第一骨碎片和第二骨碎片可以位于骨的任意区域中。 The first bone fragment and the second bone fragment may be located in any region of the bone. 例如，所述第一骨碎片可以位于所述骨的端部处。 For example, the first bone fragment may be located at an end portion of the bone. 所述第二骨碎片可以位于所述骨的骨干区域中。 The second bone fragment of the bone may be located in the backbone area. 位于所述骨的端部处的骨碎片可以通过裂纹与位于所述骨的骨干区域中的骨碎片分开。  The bone fragments of the bone located at the end may be separated by cracking the bone fragments of the bone is located in the backbone area. 所述裂纹可能与载荷从位于所述骨的端部处的所述骨碎片向位于所述骨的骨干区域中的所述骨碎片的传递相干扰。 The cracks may interfere with the load from the bone fragments at the ends of the transmission to the bone the bone fragments of the bone is located in the backbone area. 所述载荷穿过所述裂纹的传递可能与所述裂纹的愈合相干扰。 The load transfer through the cracks may interfere with the healing of cracks. 所述载荷穿过所述裂纹的传递可能导致对位于所述裂纹附近的骨碎片的伤害。 The load transfer through the cracks may result in injury to the bone fragments located near the cracks. 位于所述骨的骨干区域中的所述骨碎片可以具有足够的机械完整性以将载荷传递到其他骨骼结构上。 The bone fragments of the bone is located in the region of the backbone may have sufficient mechanical integrity to transfer the load to the other skeletal structures. 所述装置可以经由一个或多个接入孔输送到所述骨的内部区域中。  The device may be delivered into the interior region of the bone via one or more access holes. 所述一个或多个接入孔可以通过骨钻、骨锯或任意其他合适的器械提供，例如美国专利申请公布如.2009/0182336六1、在2011年3月8日提交的美国专利申请如.13/043，190、美国专利申请No. 13/009,657、以及2011年3月7日提交的美国临时专利申请No.61/450,112中示出和描述的器械中的一个或多个，所有这些文献的全部内容通过参引的方式并入本文。 The one or more access holes may be drilled through the bone, a bone saw, or any other suitable devices to provide, for example, as U.S. Patent Application Publication .2009 / 0182336 six 1, in U.S. Patent March 8, 2011, filed as .13 / 043,190, U.S. Patent application No. 13 / 009,657, and U.S. provisional Patent March 7, 2011, filed in one or more No.61 / 450,112 instrument shown and described in all of these the entire contents of which are incorporated herein by reference in its way. 所述内部区域可以通过任意合适的骨腔制备器械(例如在前述专利申请公布和申请中示出和描述的器械中的一个或多个)进行制备。  The inner region may be prepared by any suitable bone cavity preparation devices (e.g. one or more of the illustrated and described in the aforementioned patent application publications and applications in the instrument). 所述装置和方法可以涉及器械在所述骨的内部区域中的扩展。  The apparatus and method may involve extension instrument in the inner region of the bone. 所述扩展可以涉及任意合适的扩展机构或技术，例如在前述专利公布和申请中示出和描述的机构和技术中的一个或多个。 The expansion may involve expansion mechanism or any suitable technique, such as one or more of the foregoing patent publications and applications shown and described mechanisms and techniques. 所述骨可以限定沿着所述骨的纵向轴线将所述骨分成两半的二分纵向平面。 The  Bone can define a longitudinal half plane along the longitudinal axis of the bone the bone into two halves. 所述装置可以包括并且所述方法可以涉及骨构架，并且所述方法可以涉及骨构架。 The  method and the apparatus may include a frame may involve the bone, and the method may involve bone architecture. 所述构架可以包括细长构件。 The framework may comprise an elongated member. 所述细长构件中的每一个可以被基本完全插入骨内，并且随后锁定到所述细长构件中的另一个上。 Each of the elongate member may be a substantially fully inserted into the bone, and then locked to the other of said elongated member. 所述细长构件可以在所述骨内侧限定三角形区域。 The elongated member may define a triangular region in the inside of the bone. 所述细长构件可以包括软骨下构件。  The elongate member may include subchondral member. 所述细长构件可以包括第一倾斜构件。 The elongated member may include a first inclined member. 所述第一倾斜构件可以配置为从第一软骨下位置跨到第二骨干位置。 The first inclined member may be configured to span from the first position to the second key position cartilage. 所述第二骨干位置可以从所述第一软骨下构件倾斜地穿过所述纵向二分平面。 The second member may be inclined position backbone through the cartilage from said first longitudinal half plane. 所述细长构件可以包括第二倾斜构件。 The  The elongated member may include a second inclined member. 所述第二倾斜构件可以配置为从第二软骨下位置跨到第一骨干位置。 The second inclined member may be configured to span from the second position to the first shaft position cartilage. 所述第一骨干位置可以从所述第二软骨下构件倾斜地穿过所述纵向二分平面。 The first shaft member may be inclined position through the cartilage from the second longitudinal half plane. 所述软骨下构件可以为管状的。  The subchondral member may be tubular. 所述第一倾斜构件可以为管状的。  The first inclined member may be tubular. 所述细长构件可以包括骨干构件。 The  The elongated member may include a shaft member. 所述骨干构件可以配置为从所述第一骨干位置跨到所述第二骨干位置。 The shaft member may be configured across the backbone from the first position to the second position of the backbone. 所述软骨下构件可以包括软骨下管状结构。  The subchondral cartilage member may include a lower tubular structure. 所述软骨下管状结构可以包括配置为接收骨锚定器的单元。 The tubular structure may comprise the cartilage bone anchor receiving unit configured. 所述单元可以为多个单元中的一个，所述多个单元中的每一个配置为接收骨锚定器。 The unit may be a plurality of units, each of said plurality of cells configured to receive a bone anchor. 所述单元可以为打开的单元。 The  units may be open cell. 打开的单元可以具有足够用于接收骨锚定器的一部分的直径。 The opening unit may have a diameter sufficient for receiving a bone anchor that is part of. 所述单元可以为闭合单元。 The unit may be a closed unit. 闭合单元可以具有足够用于接收骨锚定器的一部分的直径。 Closing unit may have a diameter sufficient for receiving a bone anchor that is part of. 闭合单元可以变形，使得其直径响应于来自锚定器的应力而扩大。 Closing unit can be deformed, such that its diameter in response to stress from the expansion of the anchor. 所述应力可以使所述闭合单元打开，使得所述单元能够接收所述锚定器。 The stress may cause the closing unit is opened, so that the unit is capable of receiving the anchor. 所述软骨下管状结构可以为可扩展的。  The tubular structure may be extended subchondral. 所述第一倾斜构件可以包括倾斜管状结构。  The first inclined member may include an inclined tubular structure. 所述倾斜管状结构可以配置为在所述第一软骨下位置处与所述软骨下管状结构直接接合。 The inclination of the tubular structure may be configured to directly engage with the lower position of the cartilage in the first tubular structure cartilage. 所述骨干构件可以包括骨干管状结构。 The  backbone of the backbone member may comprise a tubular structure. 所述骨干管状结构可以包括为多个单元中的一个的单元，每个单元配置为接收骨锚定器。 The backbone of the tubular structure may comprise a plurality of units of units each configured to receive a bone anchor. 所述单元可以为打开的单元。 The unit may open the unit. 所述单元可以为闭合单元。 The unit may be a closed unit. 所述骨干管状结构可以为可扩展的。  The backbone of the tubular structure may be extensible. 所述骨干管状结构可以配置为在所述第二骨干位置处与所述第一倾斜构件直接接合。 The backbone of the tubular structure may be configured to directly engage the first inclined member at the second position in the backbone. 所述第二倾斜构件可以配置为将沿关于所述骨的纵向轴线的径向向外方向的压缩力传递到所述第一骨干位置。  The second member may be configured to tilt a compressive force radially outward direction along the longitudinal axis of the bone on a first key is transmitted to said position. 所述骨干构件可以配置为将沿关于所述骨的纵向轴线的径向向内方向的张力传递到所述第一骨干位置。 The shaft member may be configured to tension in the radially inward direction along the longitudinal axis of the bone with respect to the transfer position to the first backbone. 所述第二倾斜构件和所述骨干构件可以配置为使得所述径向向外力具有与所述径向向内力的大小基本相同的大小。  the second inclined member and the shaft member may be configured such that the radially outward force having a magnitude of the radial internal forces to substantially the same size. 所述第一倾斜构件和所述第二倾斜构件可以形成结点。  The first inclined member and the second member may be formed of an inclined junction. 所述第一倾斜构件可以配置为将压缩力从所述第一软骨下位置传递到所述结点。 The first inclined member may be configured to position the compression force is transmitted from the first node to the cartilage. 所述结点可以配置为将所述压缩力的第一部分沿着所述第一倾斜构件传递到所述第二骨干位置。 The nodes may be configured to a first portion of the compressive force is transmitted along the first inclined member to the second position of the backbone. 所述结点可以配置为将所述压缩力的第二部分沿着所述第二倾斜构件传递到所述第一骨干位置。 The nodes may be configured to a second portion of said compression force transmitting member along the second inclined position to the first backbone. 所述第一倾斜构件和所述第二倾斜构件可以配置为形成结点。  The first inclined member and the second inclined member may be configured to form a junction. 所述第二倾斜构件可以配置为将压缩力从所述第一软骨下位置传递到所述结点。 The second inclined member may be configured to position the compression force is transmitted from the first node to the cartilage. 所述结点可以配置为将所述压缩力的第一部分沿着所述第一倾斜构件传递到所述第二骨干位置。 The nodes may be configured to a first portion of the compressive force is transmitted along the first inclined member to the second position of the backbone. 所述结点可以配置为将所述压缩力的第二部分沿着所述第二倾斜构件传递到所述第一骨干位置。 The nodes may be configured to a second portion of said compression force transmitting member along the second inclined position to the first backbone. 所述装置可以包括并且所述方法可以涉及用于所述骨的管状植入物。  The apparatus may include and may relate to the method for the bone tubular implant. 所述管状植入物可以包括:第一端部，所述第一端部配置为在加载位置软管下地联接到所述骨上；以及第二端部，所述第二端部配置为在骨干位置联接到所述骨上。  The tubular implant may comprise: a first end portion, said first end portion is configured to removably couple the hose to the loading position on the bone; and a second end, said second end portion configured to couple to the bone in a position on the backbone. 所述骨干位置可以从所述载荷位置穿过所述骨的所述纵向二分平面。 The backbone may pass from the load position of the position of the bone longitudinal half plane. 所述第二端部可以终止在倾斜于所述植入物的长度的表面处。  The second end portion may terminate at the length of the inclined surface on the implant. 所述表面可以基本平行于所述骨的骨干表面。 The surface may be a surface substantially parallel to the shaft of the bone. 所述骨干表面可以为所述骨的皮质骨外表面。 The backbone of the cortical bone surface may be an outer surface of the bone. 所述骨干表面可以在所述皮质骨中限界出接入孔。 The surface may be bounded backbone of an access hole in the cortical bone. 所述管状植入物可以包括管状内表面。 The  tubular implant may comprise an inner tubular surface. 所述第二端部可以在所述管状内表面中包括锚定器接收结构。 The second end portion may include an anchor receiving structure in the inner surface of the tubular. 所述锚定器接收结构可以配置为接收锚定器。 Receiving the anchor structure may be configured to receive the anchor. 所述锚定器可以配置为穿透与所述锚定器接收结构相邻的皮质骨、并且穿透从所述锚定器接收结构穿过所述骨的所述纵向二分平面的皮质骨。 The anchor may be configured to penetrate the anchor receiving structure adjacent to the cortical bone, the cortical bone and penetrates the longitudinal plane of the two points from the anchor through the bone receiving structure. 所述管状内表面可以在所述第二端部处限定囊袋，所述囊袋在所述皮质骨的内壁与所述皮质骨的外壁之间容纳所述锚定器的头部的一部分。  The inner tubular surface may define a pocket at said second end portion, said head portion bladder pockets between the outer wall and the inner wall of the cortical bone of the cortical bone receiving the anchor a part of. 所述管状植入物可以包括管壁。  The implant may comprise a tubular wall. 所述管壁可以限定第一细长窗口和第二细长窗口。 The first wall and a second elongate window elongated window may be defined. 所述第二细长窗口可以与所述第一细长窗口相对。 The second window may be elongated relative to the first elongate window. 所述第一细长窗口和第二细长窗口中的每一个可以配置为接收锚定器的本体且与所述锚定器的接合结构相接合。 Said elongated first and second elongated window in each window can be configured to receive the anchor body and the anchor engages the engagement structure. 所述第一细长窗口和第二细长窗口配置为协作地将所述锚定器与所述管状植入物成角度地支承，所述角度由所述锚定器进入所述第一细长窗口内的角度限定。  The first and second elongated window elongated window cooperatively configured to anchor the implant and angularly supporting said tube, said angle of the anchor enters the an angle defined within the first elongate window. 所述管状植入物可以为可扩展的。 The  tubular implant may be expanded. 所述管状植入物可以包括锚定器接收单元的网。 The implant may comprise a tubular mesh anchor receiving unit. 所述装置可以包括并且所述方法可以涉及用于治疗骨端部的装置。  The apparatus may comprise apparatus and the method may relate to treatment of bone ends. 所述方法中的一些可以包括制备横向于所述骨的纵向轴线的细长软骨下腔体;使锚定器接收单元的网在所述软骨下腔体中扩展；以及使所述网与锚定到所述骨的一部分上的锚定器相接合。  Some of the methods of the subchondral elongate cavity may comprise preparing the bone transversely to the longitudinal axis; anchor net so the receiving unit is extended in the lower cavity cartilage; and the network and anchored to the bone anchor on a portion of the engagement. 所述扩展可以包括使具有中心轴线和沿着所述中心轴线变化的直径的网扩展。  The extensions may extend network comprising a central axis and having a varying diameter along the central axis. 所述装置可以包括并且所述方法可以涉及锚定器接收骨支承件。  The means may include, and the method may involve receiving a bone anchor support member. 所述骨支承件可以包括管壁。 The bone support member may comprise a wall. 所述管壁可以限定第一细长窗口。 The wall may define a first elongate window. 所述管壁可以限定第二细长窗口。 The wall may define a second elongate window. 所述第二细长窗口可以与所述第一细长窗口相对。 The second window may be elongated relative to the first elongate window. 所述第一细长窗口和第二细长窗口中的每一个可以配置为由锚定器的本体横向。 Said elongated first and second elongate windows each window can be configured by the lateral body of the anchor. 所述第一细长窗口和第二细长窗口中的每一个可以配置为与所述锚定器的接合结构相接合。 Said elongated first and second elongated window in each window can be configured to engage the anchor engagement structure together. 所述锚定器可以为螺钉。  The anchor may be a screw. 所述本体可以为螺钉根部。 The body may be a screw root. 所述接合结构可以为螺钉螺纹部。 The engagement structure may be a screw threaded portion. 所述第一细长窗口和第二细长窗口可以配置为协作地将所述锚定器与所述管状植入物成角度地支承。  The first and second elongated window elongated window may be configured to cooperate with the anchor of the tubular implant at an angle to the support. 所述角度可以范围为从(a)垂直于所述植入物到(b)由所述管状植入物的外径、所述锚定器的半径和介于所述第一细长窗口的端部与所述第二细长窗口的端部之间的纵向移位限定的角度。 The angle may range from (a) perpendicular to the implant to (b) a diameter of the tubular implant, the anchor radius and interposed between said first elongated window between the longitudinal ends and the end of the second elongated window defined angle shift. 所述管壁可以为第一管壁。 The  wall may be a first wall. 所述支承件可以包括第二管壁。 The support member may comprise a second wall. 所述第二管壁可以包括横向狭槽。 The second wall may include a transverse slot. 所述横向狭槽可以配置为沿着所述第一细长窗口和第二细长窗口移动到不同的位置。 The transverse slot can be arranged along the elongated first and second elongated window moves the window to a different location. 所述横向狭槽可以配置为由所述锚定器的本体穿过且与所述锚定器的接合结构相接合。 The transverse slot can be configured by the anchor body passes through and engages with the structure of the anchor is fixed engagement. 所述第一细长窗口、所述第二细长窗口和所述横向狭槽可以配置为协作地支承所述锚定器以抵抗关于所述第一管壁的纵向轴线的旋转。  The first elongate window, said second elongated lateral window and the slot may be configured to cooperatively support the anchor to resist rotation about the longitudinal axis of said first tube wall. 所述第一细长窗口、所述第二细长窗口和所述横向狭槽可以配置为协作地支承所述锚定器以抵抗关于所述第二管壁的纵向轴线的旋转。 Said first elongated window, the window and the second elongate transverse slot may be configured to cooperatively support the anchor against rotation with respect to the longitudinal axis of the second wall. 所述装置可以包括并且所述方法可以涉及切割管状骨支承件。  The apparatus may include the method may involve cutting and bone support member. 所述切割管状骨支承件可以包括管状锚定器接收单元的网；以及锯齿环。 Cutting the bone support member may comprise a tubular mesh tubular anchor receiving unit; and serrated ring. 所述锯齿环可以配置为锯出接入孔。 The serrated ring may be configured to access the hole saw. 所述接入孔可以用于将所述骨支承件输送到所述骨内部区域中。 The access holes may be used to deliver the bone support member to the interior bone region. 所述切割管状骨支承件可以配置为在被输送到所述髓内空间中之后锁定在骨支承构架内。  The cutting of the tubular member may be configured to support the bone after being conveyed into the intramedullary space within the bone to lock the support frame. 所述切割管状支承件可以包括与所述管状网纵向毗邻的无孔管。  The tubular cutting member may comprise a non-porous support tube and the adjacent longitudinal tubular mesh. 所述装置可以包括并且所述方法可以涉及骨锚定器基底。  The method and the apparatus may include a bone anchor may involve the substrate. 所述骨锚定器基底可以包括:包括第一锚定器接收结构的第一细长构件;包括第二锚定器接收结构的第二细长构件；以及配置为抵抗所述第二细长构件响应于横向力与所述第一细长构件分开的联接件。 The bone anchor substrate may include: a first elongated member comprising a first anchor receiving structure; a second elongated member comprising a second anchor receiving structure; and configured to resist said second elongated means responsive to a lateral force of the first elongate member separate from the coupling member. 所述骨锚定器基底可以包括:包括第一锚定器接收结构网的第一细长构件；以及包括第二锚定器接收结构网的第二细长构件。  The bone anchor substrate may include: a first elongated member comprising a first anchor structure receiving network; and a second elongated member comprising a second anchor structure receiving network. 所述第二细长构件可以配置为与所述第一细长构件并排地部署在所述骨的内部区域中。 The second elongate member may be configured with the first elongate member is deployed side by side in the inner region of the bone. 如果细长构件为可扩展的，则输送状态直径可以为收缩直径。  If the elongate member to be expanded, the diameter of the conveyance state may be contracted diameter. 如果细长构件为不可扩展的，则输送状态直径可以为静态直径。 If the elongated member is not extended, the diameter of the conveyance state may be a static diameter. 所述第一细长构件可以具有第一输送状态直径。  The first elongate member may have a first diameter of the conveyance state. 所述第一细长构件可以配置为通过具有内径的导引管输送到所述内部区域。 The first elongate member may be configured to be delivered to the interior region through the guide tube having an inner diameter. 所述第二细长构件可以具有第二输送状态直径。 The second elongate member may have a second diameter conveyance state. 所述第二细长构件可以配置为通过所述导引管输送到所述内部区域。 The second elongate member may be configured to be delivered to the interior region through said guide tube. 所述第一和第二输送状态直径之和可以大于所述内径。 Said first and second conveyance state may be greater than the diameter and the inner diameter. 所述第一细长构件和第二细长构件可以依序地部署在所述内部区域中。 Said first elongated member and the second elongate member can be deployed sequentially in the interior region. 所述第一和第二输送状态直径之和可以小于所述内径。 Said first and second conveyance state may be less than the diameter and the inner diameter. 所述第一细长构件和第二细长构件可以同时部署在所述内部区域中。 Said first elongated member and the second elongate member can be deployed in the interior region simultaneously. 所述第一细长构件可以具有第一纵向轴线。  The first elongate member may have a first longitudinal axis. 所述第二细长构件可以具有第二纵向轴线。 The second elongate member may have a second longitudinal axis. 所述第一细长构件和第二细长构件可以部署在所述内部区域中，使得所述第一纵向轴线和第二纵向轴线基本平行。 Said first elongated member and the second elongate member can be deployed in the interior region, such that the longitudinal axis of the first and second longitudinal axes are substantially parallel. 所述第一细长构件和第二细长构件可以为一组细长构件中的构件。  The first elongated member and the second elongate member may be a member of a set of elongated members. 所述骨锚定器基底可以具有中心轴线。 The bone anchor may have a central axis of the substrate. 所述中心轴线可以为该组细长构件的中心。 The central axis may be central elongated member of the group. 所述第一细长构件可以具有第一纵向轴线。  The first elongate member may have a first longitudinal axis. 所述第二细长构件可以具有第二纵向轴线。 The second elongate member may have a second longitudinal axis. 如果所述第一和第二纵向构件为可扩展的，则当所述第一细长构件和第二细长构件在所述内部区域中扩展时，所述第一纵向轴线和第二纵向轴线可以绕所述中心轴线基本锥形地布置。 If the first and second longitudinal members are extensible, the elongated member when the first and second elongated extension member in the interior region, the first longitudinal axis and the second longitudinal axis It may be substantially conically arranged about the central axis. 所述第一网可以包括第一锚定器接收结构。  The first network may comprise a first anchor receiving structure. 所述第二网可以包括第二锚定器接收结构。 The second web may comprise a second anchor receiving structure. 所述第一锚定器接收结构和第二锚定器接收结构可以彼此充分地对准以与穿透所述骨碎片的骨锚定器相接合。 Receiving the first anchor and the second anchor structure receiving structure may be aligned with each other sufficiently penetrating the bone fragments of the bone anchor engagement. 所述组中的每个构件可以配置为与所述组中的另一构件并排地部署在所述骨的所述内部区域中。 In  each member of the set may be configured to deploy alongside the interior region of the bone with the other member in the group. 所述组中的第一构件可以配置为经由所述组中的第二构件将载荷从第一骨碎片传递到第二骨碎片。  The first member of the group can be configured to load via the second member of the group is transmitted from the first bone fragment to a second bone fragment. 所述组中的所述第一构件和第二构件可以经由介于所述第一与第二构件之间的表面接触传送载荷。 Said first group and second members may be transmitted via a loading surface contact interposed between the first and second member. 所述组中的所述第一构件和第二构件可以经由联接件传送载荷。 Said first group and second members may be coupled via the load transfer member. 所述组中的所述第一构件和第二构件可以经由锚定器传送载荷。 Said first group and second members may be transmitted via the load anchor. 所述联接件可以配置为在所述第一细长构件和所述第二细长构件的横向期间通过骨锚定器抵抗所述第一细长构件和所述第二细长构件的分开。  The coupling member may be configured to laterally during the first elongated member and the second elongated member against said first elongated member and the second elongate member through a bone anchor separately. 所述联接件可以配置为在所述第一细长构件和所述第二细长构件的加载期间通过骨锚定器抵抗所述第一细长构件和所述第二细长构件的分开。  The coupling member may be configured to load during the first elongated member and the second elongated member against said first elongated member and the second elongate member through a bone anchor separately. 所述第一细长构件和所述第二细长构件中的一个或两个可以为可扩展的。  The first elongate member and the second elongated member, one or two may be extensible. 所述第一细长构件和所述第二细长构件中的一个或两个可以具有沿着所述细长构件的长度变化的半径。  The first elongate member and the second elongated member, one or two may have varying along the length of the radius of the elongated member. 所述第一锚定器接收结构可以包括位于打开的单元网中的打开的单元。  The first anchor may include a receiving structure in the open cell open cell network. 所述第一锚定器接收结构可以包括位于闭合单元网中的闭合单元。  The first anchor may include a receiving structure in the closed unit Network closing unit. 所述第一锚定器接收结构可以包括管状部分。  The first anchor may include a tubular portion receiving structure. 所述管状部分可以限定锚定器接收狭槽。 The tubular portion may define a receiving slot anchor. 所述管状部分可以限定锚定器接收孔。 The tubular portion may define an anchor receiving openings. 除了所述第一细长构件和所述第二细长构件以外，所述骨锚定器基底还可以包括多个细长构件。  In addition to the first elongated member and the second elongate member, the bone anchor may further comprise a plurality of elongated base members. 所述联接件可以配置为抵抗所述多个细长构件、所述第一细长构件和所述第二细长构件中的每一个与所述多个细长构件、所述第一细长构件和所述第二细长构件中的另一个的分开。 The coupling member may be configured to resist said plurality of elongated members, each of said plurality of elongated members of said first elongated member and the second elongated member, said first elongated separated from the second elongated member and another member. 所述装置的一个或多个表面可以涂覆有促进骨内生长的制剂。  One or more surfaces of the device may be coated with agents to promote bone ingrowth. 所述制剂可以包括可以包括磷酸钙、热处理后的羟基磷灰石、涂覆碱性成纤维单元生长因子(bFGF)的羟基磷灰石、羟基磷灰石/磷酸三钙(HA/TCP)、和其它合适的制剂，包括在表1中所列的那些中的一种或多种。 The formulation may include may include calcium phosphate, hydroxyapatite after the heat treatment, the coated hydroxyapatite fibers into a basic cell growth factor (bFGF), and hydroxyapatite / tricalcium phosphate (HA / TCP), and other suitable formulations, those comprising one or more listed in table 1. 所述装置的一个或多个表面可以涂覆有抑制或禁止骨内生长的制剂。  One or more surfaces of the device may be coated with agents to suppress the growth of bone or prohibited. 这些表面可以包括不可渗透材料和其他材料，例如在表1中所列的那些中的一种或多种。 These surfaces may include an impermeable material and other materials, e.g., one or more of those listed in Table 1. 所述装置的一个或多个表面可以涂覆有可以洗脱治疗物质例如药物的制剂。  One or more surfaces of the device may be coated with a therapeutic substance such as a drug formulation may be eluted. 所述装置及其部分可以包括任意合适的材料。  The apparatus and portions thereof may comprise any suitable material. 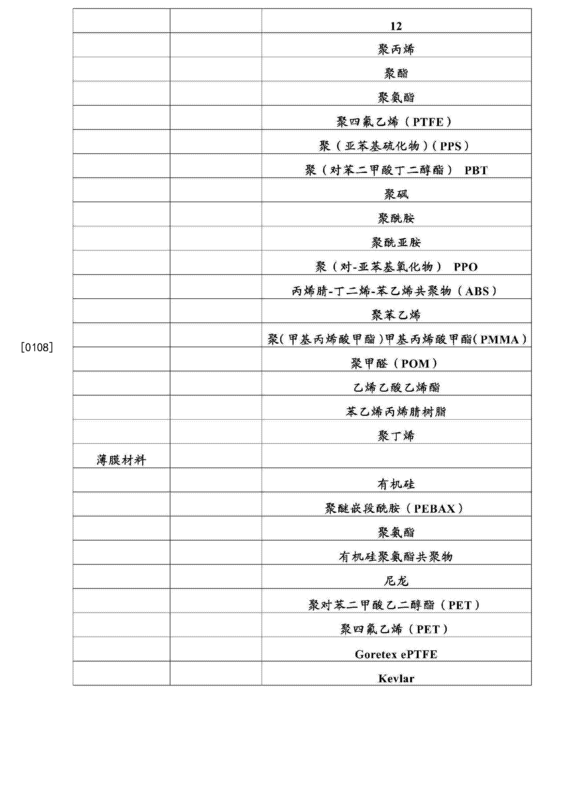 表1列出了可以包括在所述装置及其部分中的示例性材料。 Table 1 lists may include a portion of the apparatus and an exemplary material. [oho]所述装置可以提供为成套工具，其可以包括结构支持件、锚定基底、中心轴构件、 锚定器、输送器具和关联物件中的一个或多个。 [OHO] The device may be provided as a kit, which may include a structural support member, the anchoring substrate, the central axis member, the anchor, the conveying means and associated objects in one or more of. Com]现在将结合附图描述根据本发明的装置和方法。 COM] drawings will now be described the apparatus and method according to the invention bind. 附图示出了根据本发明的原理的装置和方法的示例性结构。  The drawings illustrate an exemplary configuration of the principle of the method and apparatus according to the present invention. 本发明的装置和方法可以涉及示例性结构中的一些和全部。 The method and apparatus of the present invention may involve some or all of the exemplary structure. 这些结构在所选实施例的内容中进行说明。 These structures will be described in the context of selected embodiments. 应当理解的是，可以利用其他实施例并且可以进行结构的、功能的和过程的修改而不偏离于本发明的范围和精神。 It should be understood that other embodiments may be utilized and can be of the structure, function and process of modification without departing from the scope and spirit of the invention. 示例性方法的步骤可以以与本文示出或描述的顺序不同的顺序执行。 Step exemplary method may be performed in a different order than illustrated or described herein in order. 一些实施例可以省略结合示例性方法示出或描述的步骤。 Some embodiments may be combined or omitted steps shown exemplary methods described herein. 一些实施例可以包括结合示例性方法未示出或未描述的步骤。 Some embodiments may include a combination of an exemplary method step not shown or described herein. 应当理解的是，结合实施例中的一个示出的结构可以连同结合一个或多个其他实施例示出的结构一起根据本发明的原理进行实施。 It will be appreciated that the binding of a structure of the embodiment shown may be implemented in conjunction with one or more other binding structures with the embodiment illustrated embodiment according to the principles of the invention. 图1示出了骨B中的示例性构架100。  FIG. 1 shows an exemplary bone B frame 100. 骨构架100可以用于断裂骨的相对于彼此的碎片。 Frame 100 may be used with a bone fracture of bone fragments to one another. 在图1中，骨B图示为包括由裂纹FdPFa分开的三个碎片:Pb、PdPPa。 In FIG 1, illustrated as comprising a bone B are separated by cracks FdPFa three fragments: Pb, PdPPa. 构架100可以用于两段骨折、三段骨折或具有多于三段的骨折。 Two frame 100 may be used to fracture, fracture or three sections having more than three sections fracture. 构架100可以包括软骨下构件102。  100 frame member 102 may comprise cartilage. 软骨下构件102可以用来支承一个或多个骨碎片，例如PdPPa。 Member 102 may be used to support one or more subchondral bone fragments, e.g. PdPPa. 软骨下构件102可以包括一个或多个锚定器接收结构，例如锚定器接收结构104。 Subchondral member 102 may include one or more anchor receiving structure, for example, the anchor receiving structure 104. 锚定器(例如锚定器106)可以将碎片PdPPa固定到软骨下构件102上。 Anchor (e.g., anchor 106) can debris PdPPa upper member 102 fixed to the cartilage. 软骨下构件102可以包括斜接表面108。  subchondral member 102 may include a miter surface 108. 斜接表面108可以成角度以与骨B的表面Sb 一致。 Mitered surface 108 may be a surface Sb to coincide with the angle of the bone B. 斜接表面108可以限定位于软骨下构件102的112处的“勺状部”110。 Mitered surface 108 may be located at a defined subchondral member 102 112 "scoops" 110. 勺状部110可以与骨B中的接入孔(未示出）一致。 Spoon-shaped portion 110 (not shown) with the access hole in the bone B coincide. 接入孔可以相对于表面Sb成角度。 Access holes may be angled relative to the surface Sb. 勺状部110可以包括锚定器接收结构114。 Spoon-shaped portion may include an anchor 110 receives structure 114. 锚定器接收结构114可以面对接入孔的内壁(未示出），使得倾斜锚定器116可以通过锚定器接收结构114被驱动到围绕接入孔的皮质骨内。  anchor receiving structure 114 may face the inner wall of the access hole (not shown), so that the inclined anchor 116 may be received by the anchor structure 114 is driven into the cortical bone surrounding the access aperture. 勺状部110可以在皮质骨中限定用于接收倾斜锚定器116的锚定器头部118的一部分或全部的囊袋。 Spoon-shaped portion 110 may be defined in the cortical bone anchor for receiving an inclined anchor head 116 some or all of the bladder 118. 软骨下构件102可以从软骨下位置Sl跨过纵向二分平面Plb到达软骨下位置&amp;。  subchondral member 102 may span from a longitudinal half plane position Plb subchondral cartilage Sl reaches position & amp ;. 构架100可以包括倾斜构件120。  100 may include an inclined frame member 120. 倾斜构件120可以从软骨下位置S1跨过纵向二分平面Pib到达骨干位置D2。 Obliquely across the longitudinal member 120 may Pib-half plane position D2 from the position on the backbone subchondral S1. 倾斜构件120可以用于将载荷从端骨碎片例如Ph传递到长骨碎片例如Pb。  the inclination member 120 may be used to transfer the load from the end of e.g. Ph long bone fragments to bone fragments, for example, Pb. 倾斜构件120可以包括一个或多个锚定器接收结构例如锚定器接收结构122。  the inclination member 120 may comprise one or a plurality of fixed anchoring structure, for example, receiving an anchor receiving structure 122. 倾斜构件120可以通过任意合适的技术在软骨下位置S1固定到软骨下构件102上。 The inclination member 120 may be by any suitable technique subchondral position S1 is fixed to the member 102 subchondral. 例如，倾斜构件120可以通过锚定器106钉到软骨下构件102上。 For example, member 120 may be inclined by the anchor 106 on the staple member 102 to the subchondral. 角度〇2可以选取用于倾斜构件120在骨干位置D2处的正确设置。 〇2 can select an angle for the tilt member 120 is provided at the correct position D2 at the backbone. 倾斜构件120可以包括勺状部124。  the inclination member 120 may comprise a spoon-shaped portion 124. 勺状部124可以具有与勺状部110相同的一个或多个结构。 Spoon-shaped portion 124 may have one or more structures with the spoon-shaped portion 110 of the same. 倾斜锚定器116可以为构架100的倾斜构件。  The anchor 116 may be inclined to the inclined frame member 100. 倾斜锚定器116可以从软骨下位置S2 跨过纵向二分平面Plb到达骨干位置D1。 Inclined anchor 116 may cross the longitudinal half plane Plb position D1 from a position on the backbone subchondral S2. 倾斜锚定器116可以用来将载荷从端骨碎片(例如Pa)传递到长骨碎片例如(Pb)。  inclined anchor 116 may be used to transfer load from the end of the bone fragments (e.g. Pa), for example, to a long bone fragments (Pb). 倾斜锚定器116可以与倾斜构件120相交以形成结点126。  The anchor 116 is inclined and the inclined member 120 may intersect to form a junction 126. 结点126可以将载荷从软骨下构件102分布到骨干位置以(沿着倾斜锚定器116)和骨干位置D2 (沿着倾斜构件120)上。 Node 126 may be distributed from the load 102 to the backbone member subchondral position (along the inclined anchors 116) and a backbone positions D2 (along the inclined member 120). 倾斜构件120可以包括狭槽128和与狭槽128相对的狭槽130 (未示出）。  the inclination member 120 may include a slot 128 and the slot 128 opposite the slot 130 (not shown). 狭槽128可以具有大到足以让倾斜锚定器116的根部131穿过但是小到足以与倾斜锚定器116的螺纹部132相接合的宽度。 It may have a slot 128 large enough to allow it to tilt anchor roots 131,116 but small enough to pass through the threaded portion 116 is inclined anchor 132 engages width. 狭槽130可以具有大到足以让倾斜锚定器116的根部131穿过但是小到足以与倾斜锚定器116的螺纹部132相接合的宽度。 Slot 130 may have a width large enough to allow it to tilt anchor roots 131,116 through but small enough to tilt the anchor portion 116 of the screw 132 engages. 倾斜锚定器116可以由此由狭槽128和130 保持。 The anchor 116 may be inclined thereby held by the slots 128 and 130. 狭槽130可以具有大到足以让倾斜锚定器116的根部131和倾斜锚定器116的螺纹部132穿过的宽度。 It may have a slot 130 large enough to allow the root anchor 131 is inclined and the inclined anchor width 116 threaded portion 132 through 116. 当倾斜锚定器116由狭槽128和130保持时，倾斜构件116可以比当倾斜锚定器116由狭槽128和130中的仅仅一个保持时更大程度地抵抗沿方向^和-〇1的旋转。 When the tilt anchor 116 is held by the slots 128 and 130, member 116 may be inclined to a greater extent when the holder 116 against the direction indicated by the slots 128 and 130 inclined than when only one anchor ^ and -〇1 rotation. 当构架100设置在一个或多个骨碎片(例如碎片Ph和碎片Pa)时，倾斜锚定器116可以在骨干位置Di处施加径向向外力M1。  When the frame 100 is provided at one or more bone fragments (e.g., fragments and debris Ph Pa), an inclined anchor 116 may be applied at a radially outward force Di backbone position M1. 倾斜构件120可以在骨干位置D2处施加径向向外力M3。 The inclination member 120 may be applied at a radially outward position D2 backbone force M3. 骨干锚定器134可以通过分别在骨干位置DjPD2处施加径向向内力M2和M4而部分或完全地使径向向外力Mi和M3平衡。 Backbone anchor 134 may be completely or partially outward radial force is balanced by Mi and M3 are applied at a radially inward force DjPD2 backbone positions M2 and M4. 图2示出了骨B中的构架100的沿着线2-2(图1中所示)截取的视图。  FIG. 2 shows a view along line 2-2 (shown in FIG. 1), taken in the bone B of the frame 100. 图3示出了骨B中的构架100的沿着线3-3 (图1中所示)截取的视图。  FIG. 3 shows a view along line 3-3 (shown in FIG. 1), taken in the bone B of the frame 100. 图4示出了骨B中的构架100的沿着线4-4 (图1中所示)截取的视图。  FIG. 4 shows a view along line 4-4 (shown in FIG. 1), taken in the bone B of the frame 100. 图5示出了骨B中的示例性软骨下接入孔HS和倾斜接入孔HD的沿着线5-5 (图4中所示)截取的视图。  FIG. 5 shows an example of the bone B in cartilage access hole and the inclined HS HD access hole along line 5-5 (shown in FIG. 4) the view taken. 接入孔HS可以与骨轴线LB成角度β钻出。 HS can access hole of the bone axis LB drilled at an angle β. 接入孔HD可以与骨轴线L成角度γ 钻出。 HD access holes may be bone drilling axis L at an angle γ. 可以使用用于钻出或锯出孔的任意合适的方法，包括如在美国专利申请公布No.2009/0182336 Al或美国专利申请No. 13/009，657中示出和描述的方法。 You may be used for drilling any holes or sawed suitable method, including as described in U.S. Patent Application Publication No.2009 / 0182336 Al or method of U.S. Patent Application 13 / 009,657 shown and described with No..
 位于骨干位置D2处的皮质骨BCO可以提供用于勺状部124的基座（图1中所示）。  positioned at the key position D2 cortical bone BCO scoop may be provided for the base portion 124 (shown in FIG. 1). 位于软骨下位置S2处的皮质骨BCO可以提供用于勺状部110的基座(图1中所示）。 S2 is positioned at the cortical bone BCO subchondral base may be provided (in FIG. 1) a portion 110 of the scoop. 软骨下构件102可以被插入孔Hs中。  subchondral member 102 may be inserted into the hole Hs. 倾斜构件可以被插入孔Hd中。 Tilt member may be inserted into the hole Hd. 可以包括锚定器通孔的柄脚140 (图1中所示)可以被插入软骨下构件102的狭槽402内（图4中所示）。 Can include a tang anchor through hole 140 (shown in FIG. 1) may be inserted into the slot 102 of member 402 subchondral (shown in FIG. 4). 锚定器142 (图1中所示)可以被插入以在软骨下位置S1将倾斜构件120钉到软骨下构件102上。 (Shown in FIG. 1) the anchor 142 may be inserted to the cartilage at position S1 to the inclination member 120 on the staple member 102 subchondral. 实施者可以选择使用软骨下构件102、倾斜构件120、倾斜锚定器116并且不使用骨干锚定器134治疗特定裂纹。  implementer may choose to use the subchondral member 102, member 120 is inclined, the inclination and the anchor 116 does not use the anchor shaft 134 to treat a particular crack. 图6示出了构架100的部件的示例性布置600。 Exemplary  FIG. 6 shows a frame member 100 of the arrangement 600. 实施者可以选择使用布置600治疗特定裂纹。 Implementers may choose to use a particular treatment arrangement 600 cracks. 布置600可以包括倾斜构件120、倾斜锚定器116和骨干锚定器134。 Arrangement 600 may include a tilt member 120, 116 is inclined anchor anchor 134 and a backbone. 锚定器106可以由柄脚140中的孔602接收。 The anchor 106 may be received by apertures 140 in the tang 602. 图7示出了可以与构架元件(例如倾斜构件120 (图1中所示)）或任意其他管状构架元件(例如可以与图1中所示的构架元件中的任一个相对应的管状构架元件)相结合使用的示例性平移锚定器接收结构700。  FIG. 7 illustrates () such as a tilt member 120 as shown in (FIG. 1), or any other tubular frame element and the frame element may (e.g., may correspond to any of a frame member shown in FIG. 1 in the tubular frame member) used in conjunction with exemplary translational anchor receiving structure 700. 锚定器接收结构700可以包括内管702。  anchor receiving structure 700 may include an inner tube 702. 锚定器接收结构700可以包括外管704。 Anchor receiving structure 700 may include an outer tube 704. 外管704可以包括细长窗口706和细长窗口708。 An elongated outer tube 704 may include an elongated window 706 and window 708. 细长窗口708可以与细长窗口706相对。 An elongated window 708 may correspond to an elongated window 706. 内管702可以包括横向狭槽710和横向狭槽712。 The inner tube 702 may include a transverse slot 710 and a transverse slot 712. 横向狭槽712可以与横向狭槽710相对。 Transverse slot 712 can be opposed to the transverse slot 710. (a)细长窗口706与横向狭槽710的交线以及(b)细长窗口708与横向狭槽712的交线可以限定两个对应的锚定器，其可以大到足以容许锚定器根部例如131 (图1中所示)穿过并且小到足以与锚定器螺纹部例如132 (图1中所示)相接合。  (a) an elongated window 706 and a transverse slot 710 in the line of intersection and (b) an elongated window 708 and the line of intersection transverse slot 712 may be defined corresponding to the two anchors that may be large enough to allow e.g. root anchor 131 (shown in FIG. 1) to pass through and small enough to anchor and engage the threaded portion, for example, (shown in FIG. 1) 132. 内管702可以在外管704内可滑动，使得横向狭槽能够设置在相对于狭槽窗口706 和708的不同位置处以容纳位于不同位置处的锚定器。  the inner tube 702 may be slidable within the outer 704, so that the transverse slot can be provided at different positions with respect to the slots 706 and 708 of the window receiving impose anchors located at different locations. 两管构造可以向构架元件提供另外的强度。 Two construction may provide additional strength to the frame member. 图8示出了沿着线8-8 (图7中所示)截取的平移锚定器接收结构700的截面图。  FIG. 8 shows a cross-sectional view taken along the line 700 8-8 (shown in FIG. 7), taken translational anchor receiving structure. 图9示出了示例性骨支承件900。  FIG. 9 shows an example of the support member 900 bone. 骨支承件900可以与构架100 (图1中所示）的元件中的一个或多个相结合地使用。 Bone support member 900 may be used in conjunction with the frame 100 (shown in FIG. 1) of the element in one or more phases. 骨支承件900可以在骨B中以与构架100的元件的方向中的一个相对应的方向使用。 Bone support member 900 may be used in the direction of the frame member 100 in a direction corresponding to B in the bone. 骨支承件900可以包括无孔管状部分902。  tibial bearing member 900 may comprise a non-porous tubular section 902. 骨支承件900可以包括网状部分904。 Bone support member 900 may comprise a mesh portion 904. 骨支承件900可以包括勺状物906。 Bone support member 900 may include a scoop 906. 骨支承件900可以包括一个或更多与勺状物110相似的特征。 Bone support member 900 may include one or more similar to scoop 110 features. 骨支承件900可以具有总长度L。  bone support member 900 may have a total length L. 。 . 无孔管状部分902可以具有长度Ls。 Non-porous tubular section 902 may have a length Ls. 网状部分904 可以具有长度U。 Web portion 904 may have a length U. 长度Ls和Lw可以具有相对于长度L。 It may have a length Ls and Lw relative to the length L. 的任意合适的大小。 Any suitable size. 无孔管状部分902 和网状部分904可以各占据沿着长度L。 Non-porous tubular section 902 and the mesh portion 904 may each occupy along the length L. 的任意合适的位置。 Any suitable location. 无孔管状部分902和网状部分904可以以相对于彼此的任意合适的顺序设置。 Non-porous tubular section 902 and the mesh portion 904 may be arbitrary with respect to one another is provided suitable order. 骨支承件900可以包括多于一个的无孔管状部分例如无孔管状部分902。  tibial bearing member 900 may comprise more than one non-porous tubular portion of the tubular portion 902, for example, the non-porous. 骨支承件900可以包括多于一个的网状部分例如网状部分904。 Bone support member 900 may include more than one web portion such as a mesh portion 904. 网状部分904可以包括单元例如单元908。  Mesh portion 904 may include units such as unit 908. 单元908可以接收骨锚定器例如锚定器106 (图1中所示）。 Unit 908 may receive a bone anchor, for example, (shown in FIG. 1) the anchor 106. 图10示出了骨B中的示例性植入物1000。  FIG 10 B illustrates an exemplary bone implant 1000. 在图10中，骨B图示为包括由裂纹Fh分开的两个碎片:Pb和Ph。 In Figure 10, illustrated as comprising a bone B are separated by cracks Fh two fragments: Pb and Ph. 植入物1000或其部分可以与两段骨折、三段骨折或具有多于三段的骨折相结合地使用。 The implant 1000 or portions thereof may be associated with two fractures, fractures or three sections having more than three segments used in conjunction fracture. 植入物1000可以包括软骨下构件1002。  The implant 1000 may include subchondral member 1002. 软骨下构件1002可以用来支承一个或多个碎片例如Ph。 Member 1002 may be used to support one or more pieces e.g. subchondral Ph. 软骨下构件1002可以包括网1004。 Member 1002 may include a network 1004 subchondral. 网1004可以包括一个或多个锚定器接收结构。 Network 1004 may include one or more anchor receiving structure. 锚定器例如锚定器1006可以将碎片Ph固定到软骨下构件1002上。 E.g. anchor anchors 1006 may be secured to the member pieces 1002 Ph subchondral. 锚定器接收结构1008可以面对用于软骨下构件1002的接入孔的内壁(未示出），使得倾斜锚定器1016可以通过锚定器接收结构1008被驱动到围绕接入孔的皮质骨内。  anchor receiving structure 1008 may face the inner wall of the aperture for accessing the subchondral member 1002 (not shown), so that the inclined anchor structure 1016 may receive about 1008 are driven to anchor the access by the inner bore of the cortical bone. 软骨下构件1002可以在皮质骨中限定用于接收倾斜锚定器1016的锚定器头部1018的一部分或全部的囊袋。 Subchondral member 1002 may be defined in the cortical bone anchor for receiving an inclined anchor head 1016 some or all of the balloon 1018. [0M9] 软骨下构件1002可以从软骨下位置S1跨过纵向二分平面Plb (图1中所示)到达软骨下位置S2。 [0M9] subchondral member 1002 may be a position across the longitudinal half plane S1 Plb (shown in FIG. 1) from reaching the subchondral cartilage position S2. 倾斜锚定器1020可以以与倾斜锚定器1016在软骨下位置S2处与皮质骨相接合的方式相似的方式在骨干位置D2处与皮质骨相接合。  inclined anchor 1020 may be inclined anchor 1016 at the cartilage similar position S2 cortical Skeleton engaging manner in the engaged position D2 at the backbone phrenology cortex. 倾斜锚定器1020可以用来将载荷从端骨碎片例如Ph传递到长骨碎片例如Pb。  inclined anchor 1020 may be used to transfer the load from the end of e.g. Ph long bone fragments to bone fragments, for example, Pb. 倾斜锚定器1016可以从软骨下位置S2跨过纵向二分平面Plb到达骨干位置D1。  The anchor 1016 can be inclined across the longitudinal half plane Plb position D1 from a position on the backbone subchondral S2. 倾斜构件1016可以在骨干位置以处与骨干构件1022相接合。 Member 1016 may be inclined at a backbone member 1022 engaged position in the backbone. 倾斜锚定器1016可以用来将载荷从端骨碎片例如Ph传递到长骨碎片例如Pb。  inclined anchor 1016 may be used to transfer the load from the end of e.g. Ph long bone fragments to bone fragments, for example, Pb. 倾斜锚定器1016可以相对于倾斜锚定器1020倾斜。  The anchor 1016 can be inclined with respect to the anchor 1020 is inclined obliquely. 骨干构件1022可以从骨干位置D2跨过纵向二分平面PibSJ达骨干位置Di。  D2 across the backbone member 1022 may PibSJ longitudinal half plane position of the backbone from the backbone position Di. 骨干构件1022可以包括网1030。 Backbone member 1022 may include network 1030. 网1030可以包括一个或多个锚定器接收结构例如1032。 Network 1030 may include one or more anchor receiving structure 1032, for example. 锚定器接收单元例如1008、1024、1026和1028可以与倾斜锚定器形成接头。  anchors 1008,1024,1026, and 1028, for example, the receiving unit can be inclined to form a joint anchor. 单元可以大到足以让锚定器的根部穿过并且小到足以与锚定器的螺纹部相接合。 Unit may be large enough to allow the root of the anchor and small enough to pass through the threaded portion of the anchor is engaged. 这可以如销钉接头一样起作用，其中锚定器可以将扭矩无效地或完全不传递到软骨下构件和骨干构件上。 This may be the same function as pin connectors, wherein the anchor may be invalid or not the torque transmitted to the shaft member and the subchondral member. 扭矩可以通过将锚定器配置为穿透位于软骨下构件或骨干构件中的另外的单元(例如设置在相应的软骨下构件或骨干构件的不同方面(例如，沿着直径或弦线间隔开)）上的单元而被更有效地传递。 Torque may be configured by the anchor to penetrate the subchondral additional means or member is located in the backbone member (e.g., disposed at a respective different aspects of the cartilage member or backbone member (e.g., spaced apart along a chord or a diameter) the unit) is more efficiently transmitted. 当植入物1000在一个或多个骨碎片例如碎片Ph处被加载时，倾斜锚定器1016可以在骨干位置Di处施加径向向外力N1。  When the implant 1000 is loaded debris Ph example, in one or more bone fragments, inclined anchor 1016 may be applied at a radially outward force Di backbone position N1. 倾斜锚定器1020可以在骨干位置D2处施加径向向外力N3。 Inclined anchor 1020 may apply a radially outward force backbone at position D2 N3. 骨干构件1022可以通过分别在骨干位置DjPD2处施加径向向内力N2和N4而部分或完全地平衡径向向外力NjPN3。 Internal force backbone member 1022 may N2 and N4 partially or completely balance the radially outward force exerted by separately NjPN3 radial position in the backbone at the DjPD2. 软骨下构件1002和骨干构件1022中的一个或两个可以为可扩展的。  subchondral backbone member 1002 and member 1022 may be one or two extensible. 软骨下构件1002和骨干构件1022中的一个或两个可以以与软骨下构件102和骨干构件134 (图1中所示)的输送相似的方式输送到骨B的内部中。  subchondral backbone member 1002 and member 1022 may be one or two with the shaft member 102 and the member 134 similar to the subchondral transport (shown in FIG. 1) of embodiment B delivered to the interior of the bone. 实施者可以选择使用软骨下构件1002、倾斜锚定器1020、倾斜锚定器1016并且不使用骨干构件1022治疗特定裂纹。  implementer may choose to use the subchondral member 1002, anchor 1020 is inclined, the inclination anchor member 1016 and the shaft 1022 is not used to treat a particular crack. 图11示出了骨B中的植入物1000的沿着线11 -11 (图10中所示)截取的视图。  FIG 11 illustrates an implant in bone B 11 along line 11 (shown in FIG. 10) 1000 of the view taken. 图12A示出了骨B中的示例性植入物1200。  FIG 12A illustrates an exemplary bone implant 1200 in B. 在图12A中，骨B示出为包括由裂纹Fh分开的两个碎片:Pb和Ph。 In FIG. 12A, B is shown as comprising a bone separated by cracks Fh two fragments: Pb and Ph. 植入物1000或其部分可以与两段骨折、三段骨折或具有多于三段的骨折相结合地使用。 The implant 1000 or portions thereof may be associated with two fractures, fractures or three sections having more than three segments used in conjunction fracture. 植入物1200可以用来支承一个或多个骨碎片例如Ph。  The implant 1200 may be used to support one or more bone fragments e.g. Ph. 植入物1200包括网1202。 The implant 1200 comprises a 1202 network. 网1202可以包括一个或多个锚定器接收结构例如单元1203。 Network 1202 may include one or more structures such as anchor receiving unit 1203. 植入物1200可以包括结构环1205。 The implant 1200 may comprise a ring structure 1205. 网1202可以远离或朝向结构环1205扩展。 Network 1202 may be towards or away from the structural loops 1205 extension. 网1202可以既远离也可以朝向结构环1205 扩展。 Network 1202 may also be remote from either ring 1205 toward the extended configuration. 结构环1205可以不包括在植入物1202中。 Ring structure 1205 may not be included in the implant 1202. 在这种实施例中，网1202可以沿着植入物1200的长度扩展。 In such an embodiment, the mesh 1202 may extend along the length of implant 1200. 另外的管状网（未示出）可以基本共轴地设置在网1202内以提供另外的锚定强度。  Additional tubular network (not shown) may be disposed substantially coaxially within the network 1202 to provide additional anchoring strength. 另外的管状网（未示出）可以绕网1202基本共轴的设置以提供另外的锚定强度。 Additional tubular mesh (not shown) may be disposed about the web substantially coaxial 1202 to provide additional anchoring strength. 另外的管状网（未示出）可以绕网1202共轴地设置在网1202内以提供另外的锚定强度。 Additional tubular mesh (not shown) may be about 1202 mesh disposed coaxially within the network 1202 to provide additional anchoring strength. 锚定器例如锚定器1206可以在单元中的一个或多个处将碎片Ph固定到植入物1202 上。  The anchor 1206 can, for example, one or more of the anchors in the cell debris Ph 1202 is fixed to the implant. 植入物1200可以从锚定位置S3跨过纵向二分平面Plb (图1中所示）到达骨干位置D2。  The implant 1200 can span from the anchor position S3 Plb longitudinal half plane (shown in FIG. 1) on the backbone position D2. 植入物1200可以从基本位于纵向二分平面Plb (图1中所示）中的软骨下位置跨到骨干位置D2。 Subchondral position of the implant 1200 may be located in the longitudinal half plane Plb (shown in FIG. 1) from the basic position into the backbone of the cross-D2. 植入物1200可以在不穿过平面Plb的情况下从软骨下位置跨到骨干位置。 The implant 1200 may cross through the plane without subchondral Plb from position to position the backbone. 植入物1200可以包括锚定器1208。  The implant 1200 may comprise an anchor 1208. 锚定器1208可以在骨干位置D2处将植入物1200 锚定到皮质骨上。 Anchor 1208 may be implanted in the backbone at position D2 1200 was anchored to the cortical bone. 尽管锚定器1208示出为与网1202共轴布置，但是锚定器1208可以通过在骨干位置〇2处横向地穿透皮质骨并且随后在网1202的骨干端1210处与单元相接合而将植入物1200锚定到骨B上。 While the anchor is shown as 1208 and network 1202 is disposed coaxially, but the anchor 1208 can be in the backbone at position 〇2 penetrate the cortical bone and then transversely in the backbone network and the end 1210 of the unit 1202 and the engagement the implant 1200 is anchored to the bone B. 植入物1200可以包括用于在骨干位置D2处锚定到皮质骨上的皮质骨托架（未示出）。  The implant 1200 may comprise a backbone position D2 to the cortical bone at the anchor bracket (not shown) on cortical bone. 可以使用任意合适的托架。 You can use any suitable bracket. 例如，托架可以具有与勺状物110 (图1中所示)类似的一个或多个结构。 For example, the carrier may have similar and spoon 110 (shown in FIG. 1) one or more structures. 托架可以具有锚定器接收结构，该锚定器接收结构面对用于植入物1200的接入孔的内壁(未示出），使得锚定器(未示出）通过锚定器接收结构被驱动进入围绕接入孔的皮质骨内。 Anchor carrier may have a receiving structure, the anchor structure receiving face of the inner wall (not shown), so that the anchor (not shown) for the access aperture of the implant 1200 by receiving the anchor structure is driven into the cortical bone surrounding the access aperture. 锚定器1208可以相对于植入物1200轴向定向。  1200 1208 may anchor axially oriented with respect to the implant. 锚定器1208可以与位于骨干位置D2 处的托架(未示出）（其可以固定到皮质骨上）以及植入物1200的骨干端1210相接合以在骨干位置D2处将植入物1200固定到皮质骨上。 1208 anchor (not shown) located at position D2 backbone carrier (which may be fixed to the cortical bone) and the end of the shaft 1200 of the implant 1210 is engaged to the backbone at position D2 implant 1200 It is fixed to the cortical bone. 骨干端1210可以包括用于与锚定器1208相接合的螺纹衬套(未示出）。 Diaphyseal 1210 may include a threaded bushing 1208 with the anchor engaged (not shown). 锚定器1208可以具有用于与螺纹衬套相接合的螺纹。 Anchor 1208 may have threads for engaging the threaded bush. 植入物1200可以用来将载荷从端骨碎片例如Ph传递到长骨碎片例如Pb。  The implant 1200 may be used to transfer the load from the end of e.g. Ph long bone fragments to bone fragments, for example, Pb. 植入物1200可以用来通过使网1202在锚定器1206与1208之间张紧而将骨碎片Ph 迫压到位于裂纹F处的骨碎片Pb上。  The implant 1200 may be used by networks 1202 and 1206 in the anchors and tensioned between 1208 Ph bone fragments to the bone fragments pressing Pb F located at the crack. 锚定器接收单元例如1203可以具有与单元例如1008 (图10中所示)类似的一个或多个结构。  unit, for example, the anchor receiving unit 1203 may have a similar or more structures (shown in FIG. 10), for example, 1008. 植入物1200可以以与软骨下构件102和骨干构件134(图1中所示)的输送相似的方式输送到骨B的内部。  The implant 1200 may be the backbone of the delivery means and 134 (shown in FIG. 1) member 102 in a similar manner subchondral bone B is delivered to the interior. 图12B示出了示例性稳定器1220。  FIG 12B illustrates an exemplary stabilizer 1220. 稳定器1220可以在骨干位置02处（或者骨B上的任意其他合适的位置处)将植入物1200的近端部1212固定到骨B上。 Stabilizer 1220 can be implanted in a proximal portion thereof at a 1200 (or on the bone B at any other suitable location) to the backbone of the position of the fixed bone 021212 B. 稳定器1220可以包括细长构件1232。 The stabilizer 1220 may include elongated member 1232. 细长构件1232可以从植入物1200 (未示出）的近端部延伸到支承套环1222上。 The proximal portion of the elongated member 1232 from implant 1200 (not shown) extending to the support collar 1222. 细长构件1232可以沿着接入孔(植入物1200通过其部署）的壁延伸。 The elongated member 1232 may extend along the access aperture wall (1200 through which the implant deployment) of. 细长构件1232可以包括纵向轴线Lem。 The elongated member 1232 may include a longitudinal axis Lem. 纵向轴线Lem可以基本平行于孔的中心轴线Ch和/或植入物的纵向轴线。 Lem longitudinal axis of the bore may be substantially parallel to the central axis of Ch, and / or the longitudinal axis of the implant. 支承套环1222可以支承在孔的开口处。 Support collar 1222 can be supported at an opening in the hole. 支承套环1222可以包括基本平行于骨表面Bs (图12A中所示)的纵向轴线Lbc。 Support collar 1222 may include a longitudinal axis substantially parallel to the bone surface Lbc of Bs (shown in FIG. 12A) of the. 稳定器1220可以包括配置为接收锚定器（例如被驱动入骨表面Bs内的锚定器1224)的锚定器接收结构(未示出）。  1220 may include a stabilizer configured to receive an anchor (e.g. anchor is driven into the bone surface within Bs 1224) the anchor receiving structure (not shown). 植入物1200的近端部1212可以使用任意其他合适的方式固定到骨B上。  The proximal end portion 1200 of the implant 1212 may be used any other suitable manner secured to bone B. 图13示出了骨B中的植入物1200的沿着线13-13(图12中所示)截取的视图。  FIG. 13 illustrates along line 13-13 (shown in FIG. 12) taken in view of the bone implant B 1200. 锚定器1302在单元1304处穿透网1202。 Anchor unit 1304 1302 1202 Net penetration. 锚定器1302在单元1306处离开网1202。 Leaving the anchor network 1302 1202 1306 unit. 在两个不同单元处与网1202的接合可以向锚定器1302提供另外的稳定性。 In the two different units can provide additional stability to the anchor 1302 and the network 1202 to engage. 在两个不同单元处与网1202的接合可以容许扭矩在网1202与锚定器1302之间传递。 In joining two different units at the network 1202 may allow torque transmission between the network 1202 and anchor 1302. 锚定器1308也可以进入一个单元内，穿过网1202的内侧并且在不同的单元处离开网1202。 The anchor 1308 can enter the inside of a cell, and exits through the mesh 1202 of the web 1202 in a different unit. 网1202包括面向径向沿植入物1200的长度的方向的单元，使得锚定器1302和1308 可以彼此成一定范围内的角度地布置。  Network unit 1202 comprises a radially outwardly facing direction of the length thereof along the implant 1200, such that the anchor 1302 and 1308 may be angularly disposed to each other within a certain range. 图14示出了植入物1400。  FIG. 14 shows the implant 1400. 植入物1400可以包括无孔管状部分1402。 The implant 1400 may comprise a non-porous tubular section 1402. 植入物1400可以包括网状部分1404。 The implant 1400 may comprise a mesh portion 1404. 植入物1400可以包括锯部分1406。 The implant 1400 may comprise a saw 1406. 植入物1400的远端部1408可以与旋转源例如钻具手柄(未示出）相接合以使植入物1400绕其纵向轴线旋转。 The distal end portion  1408 of the implant 1400 may be a source of rotation, for example, drill handle (not shown) to engage the implant 1400 about its longitudinal axis. 旋转源可以包括手动手柄。 Rotating source may include a manual handle. 旋转源可以包括机动钻具马达。 Rotating source may include a motorized drill motors. 当旋转时，齿1410可以切入骨例如B (图1中所示）内以设置通向骨B的内部的接入孔。 When rotated, the teeth 1410 can be cut into the bone to set an access hole leading to the interior of the bone B (shown in FIG. 1) B, for example. 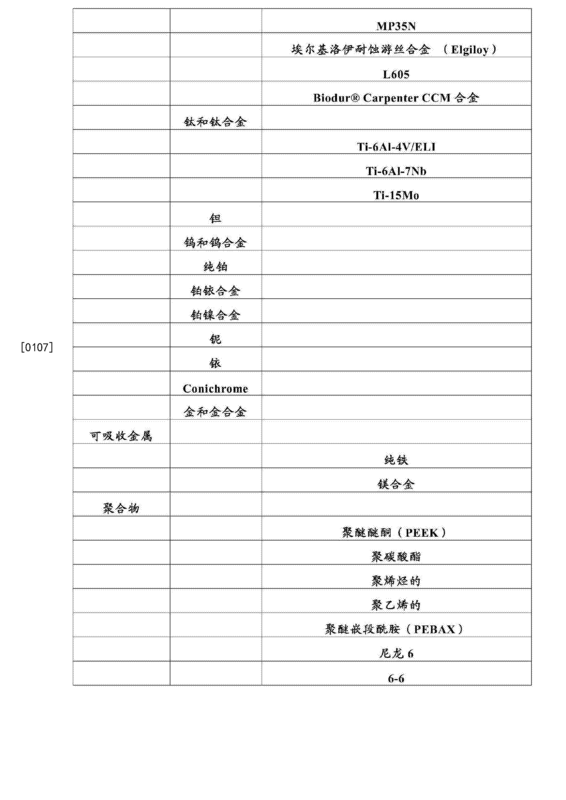 网状部分1404可以部署在该内部中。  Mesh portion 1404 may be deployed in the interior. 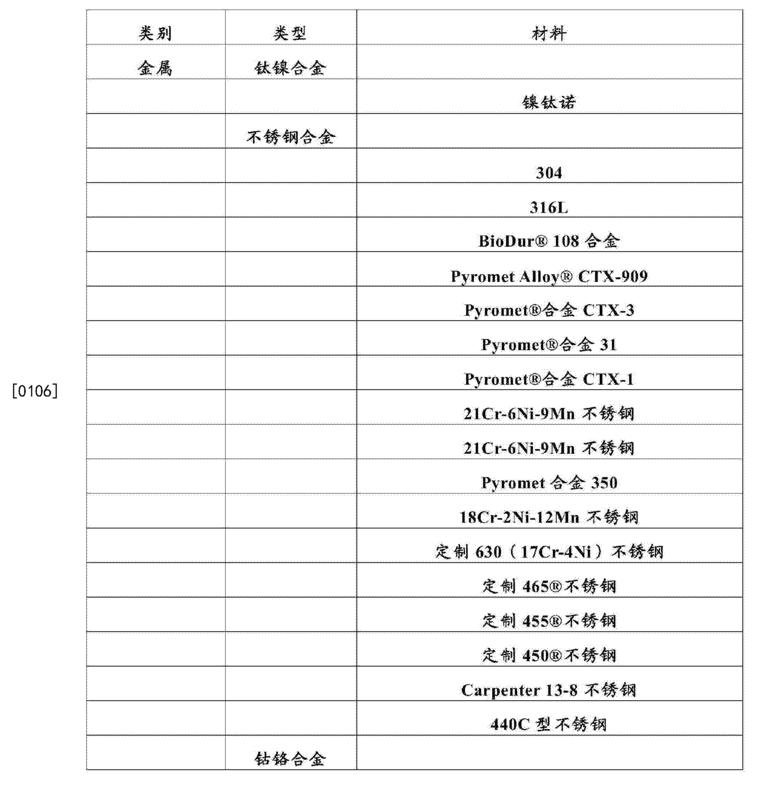 无孔管状部分1402可以部署在该内部中。 Non-porous tubular section 1402 can be deployed in the interior. 锚定器接收单元1412可以接收将骨碎片(例如PB、P4PPh中的一个或多个）固定到植入物1400 上的锚定器。 Anchor receiving unit 1412 may receive a bone fragments (e.g., PB, in one or more P4PPh) secured to the anchor on the implant 1400. 植入物1400可以部署在骨B中的任意合适的位置中。 Any suitable location  The implant 1400 may be deployed in the bone B. 例如，植入物1400可以从软骨下位置Sl跨到软骨下位置S2。 For example, the implant 1400 may span from position Sl into the subchondral cartilage position S2. 植入物1400可以从软骨下位置中的一个跨到骨干位置D1和骨干位置D2中的一个。 The implant 1400 may span from a lower position to a backbone cartilage position D1 and D2 in the position of the backbone. 植入物1400可以从骨干位置中的一个跨到骨干位置中的另一个。 The implant 1400 may be a position across from the backbone to another position in the backbone. 植入物1400可以用作构架100 (图1中所示）的一个或多个元件。  The implant 1400 can be used as a (shown in FIG. 1) of the frame 100 or a plurality of elements. 植入物1400可以用作植入物100 (图10中所示)的元件中的一个或多个。 The implant 1400 may be used or a plurality of elements (shown in FIG. 10) of implant 100. 远端部1408可以包括勺状部（未示出）。  distal end portion 1408 may include a spoon-shaped portion (not shown). 该勺状部可以具有与勺状部110 (图1中所示)类似的一个或多个结构。 The spoon-shaped portion may have a similar structure with one or more spoon-shaped portion 110 (shown in FIG. 1). 植入物1400可以具有总长度LP。  The implant 1400 can have a total length LP. 无孔管状部分1402可以具有长度Lt。 Non-porous tubular portion 1402 may have a length Lt. 网状部分1404 可以具有长度Lx。 Web portion 1404 may have a length Lx. 长度Lt和Lx可以具有相对于长度Lp的任意合适的大小。 Length Lt and Lx may be of an appropriate size with respect to any length Lp. 无孔管状部分1402 和网状部分1404可以各占据沿着长度Lp的任意合适的位置。 Non-porous tubular portion 1402 and the mesh portion 1404 may each occupy along the length Lp of any suitable location. 无孔管状部分1402和网状部分1404可以以相对于彼此的任意合适的顺序设置。 Non-porous tubular portion 1402 and portion 1404 may mesh with each other for any suitable order set. 植入物1400可以包括多于一个的无孔管状部分例如无孔管状部分1400。  The implant 1400 may comprise more than one non-porous tubular portion of the tubular portion 1400, for example, the non-porous. 植入物1400可以包括多于一个的网状部分例如网状部分1404。 The implant 1400 may comprise more than one web portion such as a mesh portion 1404. 周缘齿1414可以保持骨B的骨栓(plug)。  peripheral edge of teeth 1414 may be maintained bone B of the bone plug (plug). 骨栓可以在切出接入孔之后移除。 The bone plug may be removed after the access hole cut out. 骨栓可以留在植入物1400的内侧以促进愈合。 The bone plug may be left in the inner side of the implant 1400 to promote healing. 除了骨栓以外的组织可以通过植入物1400取芯或保持在植入物的内侧并且留在植入物1400的内侧以促进愈合。 In addition to bone bolt tissue implant 1400 can be maintained in the inner core or the implant and remain in the inner side of the implant 1400 to promote healing. 图15示出了示例性双网1500。  FIG 15 illustrates an exemplary dual network 1500. 双网1500可以包括外网1502。 Dual network 1500 may include external network 1502. 双网1500可以包括内网1504。 Network 1500 may include a dual network 1504. 双网1500可以包括在管状植入物(例如植入物900 (图9中所示）、植入物1000 (图10 中所示）、植入物1200 (图12中所示）、植入物1400 (图14中所示)）和任意其他合适的植入物中。 In twin-wire 1500 may include a tubular implant (e.g., implant 900 (shown in FIG. 9), the implant 1000 (shown) in FIG. 10, the implant 1200 (shown in FIG. 12), the implant It was 1400 (shown in FIG. 14)) and any other suitable implant. 外网1502可以为可扩展的。  the external network 1502 may be scalable. 内网1504可以为可扩展的。 Network 1504 can be extensible. 外网1502和内网1504可以包括锚定器接收单元，例如分别为1506和1508。  the external network 1502 and network 1504 may include an anchor receiving unit, for example, 1506 and 1508, respectively. 单元1506可以具有沿着网1502的长度的均匀的单元密度。 Unit 1506 may have a uniform density along the length of the network unit 1502. 单元1506可以具有沿着网1502的长度的变化的单元密度。 Unit 1506 may have a cell density variation along the length of the web 1502. 单元1508可以具有沿着网1504的长度的均匀的单元密度。 Unit 1508 may have a uniform density along the length of the network unit 1504. 单元1508可以具有沿着网1504的长度的变化的单元密度。 Unit 1508 may have a cell density variation along the length of the web 1504. 沿着网1502的单元密度可以与沿着网1504的单元密度相同或不同。 Cell density along the network 1502 may be the same or different along the cell density network 1504. 穿透网1502的锚定器(未示出）也可以穿透网1504。  penetrating anchors (not shown) may penetrate the network 1502. Network 1504. 锚定器可以在进入单元处和离开单元处与网1502相接合。 Anchor means may enter and leave the network unit 1502 at the engagement. 锚定器可以在进入单元处和离开单元处与网1504相接合。 Anchor means may enter and leave the network unit 1504 at the engagement. 锚定器由此可以在1个、2个、3个或4个单元处与双网1500相接合。 Whereby the anchor can be combined in one, two, three or four cells at the twin-wire contact 1500. 当接合的数目增大时，锚定器与双网1500的固定强度增大。 When the number of engagement is increased, and the anchor is increased fixing strength of the dual network 1500. 当接合之间的距离增大时，锚定器与双网1500的固定强度增大。 When the distance between the engagement is increased and the anchor increases the fixing strength of the dual network 1500. 外网1502和内网1504可以通过衬套、接口、套环或任意其他合适的机构保持在基本共轴的构型中。  the external network 1502 and network 1504 may be maintained in a substantially coaxial configuration by a liner, an interface, collar, or any other suitable mechanism. 图16示出了沿着线16-16(图15中所示)截取的双网1500的视图。  FIG. 16 shows a view along lines 16-16 (shown in FIG. 15) taken dual network 1500. 一些实施例可以包括植入物（其包括内网1504)。  Some embodiments may include implant (including Intranet 1504). 内网1504可以为可扩展的。 Network 1504 can be extensible. 当内网1504处于扩展状态时，其可以具有比其处于收缩状态时大的直径。 When the network 1504 in an expanded state, while it may have a larger diameter than its contracted state. 图16中所示的视图示出了可以分别与收缩直径和扩展直径相对应的直径D。 View illustration shown in FIG. 16 that may be extended and respectively contracted diameter corresponding to the diameter of the diameter D. 和De。 And De. 图17示出了骨B中的示例性植入物1700。  FIG 17 illustrates an exemplary bone implant 1700 in B. 在图17中，骨B示出为包括由裂纹Fh分开的两个碎片:Pb和Ph。 In FIG 17, is shown as comprising a bone B are separated by cracks Fh two fragments: Pb and Ph. 植入物1700或其部分可以与两段骨折、三段骨折或具有多于三段的骨折相结合地使用。 The implant 1700 or portions thereof may be associated with two fractures, fractures or three sections having more than three segments used in conjunction fracture. 植入物1700可以包括网1704。  The implant 1700 may include a network 1704. 网1704可以包括一个或多个锚定器接收结构。 Network 1704 may include one or more anchor receiving structure. 植入物1700可以包括一个或多个另外的网。  The implant 1700 may comprise one or more additional networks. 该一个或多个另外的网可以在网1704 的内部或外部。 The one or more additional networks may be internal or external to the network 1704. 该一个或多个另外的网可以提供另外的锚定器接合结构。 The one or more additional networks may provide additional anchoring engagement structure. 该另外的接合结构可以向锚定器与植入物1700的接合提供另外的强度。 The engagement structure may further provide additional strength to the anchor engaged with the implant 1700. 锚定器接收结构可以包括单元例如单元1702。  The anchor structure may include a receiving unit 1702, for example. 锚定器(例如锚定器1706)可以将碎片Ph和Pb固定到植入物1700上。 Anchor (e.g., anchor 1706) Ph and Pb can be secured to the chips on the implant 1700. 植入物1700可以从软骨下位置S2跨过纵向二分平面Plb (图1中所示)到达软骨下位置Si。  The implant 1700 can span a longitudinal half plane Plb (shown in FIG. 1) from the position of subchondral cartilage reaches position S2 Si. 倾斜锚定器1708可以与植入物1700的网1704相接合。  inclined anchor 1708 may be engaged with the mesh 1704 of the implant 1700. 倾斜锚定器1708可以在骨干位置D2处与皮质骨相接合。 Inclined anchor 1708 can be engaged with the backbone at a position D2 phrenology cortex. 倾斜锚定器1708可以从骨干位置出跨过纵向二分平面Plb到达网1704。 Inclined anchor 1708 may cross the longitudinal half plane Plb arrival position from the backbone network 1704. 倾斜锚定器1708可以不从骨干位置D2跨过纵向二分平面Plb到达网1704。 Inclined anchor 1708 may not cross the longitudinal half plane D2 Plb arrival position from the backbone network 1704. 当一个或多个另外的网设置在植入物1700中时，锚定器1708可以与所述一个或多个另外的网相接合。  When one or more additional networks is provided in the implant 1700, anchor 1708 can be one or more further engagement with the web. 倾斜锚定器1708可以用来将载荷从端骨碎片例如Ph传递到长骨碎片例如Pb。  inclined anchor 1708 may be used to transfer the load from the end of e.g. Ph long bone fragments to bone fragments, for example, Pb. 植入物1700可以以与软骨下构件102和骨干构件134(图1中所示)的输送相似的方式输送到骨B的内部。  The implant 1700 may be the backbone of the delivery means and 134 (shown in FIG. 1) member 102 in a similar manner subchondral bone B is delivered to the interior. 植入物1700可以包括中心轴构件1710。  The implant 1700 may include a central axis member 1710. 植入物1700可以包括近端基部1712。 The implant 1700 may comprise a proximal base 1712. 植入物1700可以包括远端基部1714。 The implant 1700 may comprise a distal end of the base 1714. 近端基部1712轴向远离远端基部1714的移位可以导致网1704朝向中心轴构件1710收缩。 Displaced axially away from the proximal end of the distal end of the base portion 1712 of the base 1714 may result in network 1704 toward the central axis member 1710 contraction. 近端基部1712轴向朝向远端基部1714的移位可以导致网1704远离中心轴构件1710扩展。 Axially displaced towards the proximal end of the distal end 1712 of the base 1714 of the base network 1704 may lead away from the central axis member 1710 extend. 在网1704上的特定轴向位置处，网1704可以具有围绕网1704的周缘的单元密度。  at a particular axial location on the network 1704, network 1704 may have a cell density around the perimeter network 1704. 单元密度对于网1704上的不同轴向位置可以不同。 Cell density may be different for different axial positions on the 1704 network. 由此，网1704可以具有在网1704上轴向变化的扩展半径。 Accordingly, network 1704 may have extended radius of the axial variation in the 1704 network. 植入物1700可以由此具有由沿着网1704的单元密度限定的形状。 The implant 1700 may thus have a density in the unit defined by the shape of the network 1704. 所述形状可以为非圆筒形的。 The shape may be non-cylindrical. 任意合适的拉刀可以用来将骨B的内侧的腔体定形为遵从植入物1700的非圆筒形形状。  Any suitable tool may be used to pull the shaped inner cavity of the bone B is a non-cylindrical shape to comply with the implant was 1700. 图18示出了设置在骨B上的部位H'处的示例性器具导引器1800。  FIG. 18 illustrates an exemplary instrument guide 1800 disposed on a portion of bone B H 'at. !! '图示为骨干位置，但是H'也能够为用于钻取接入孔(例如Hs (图5中所示)）的软骨下位置。 !! 'illustrates the position of the backbone, but H' it is possible to drill holes for the access (e.g. Hs (shown in FIG. 5)) subchondral position. 拉刀头1824可以为弹性的，使得拉刀头使松质骨Bca而非皮质骨Bcq移位，即使在可能存在尖锐的皮质骨突出部的裂纹处也如此。  Broach head 1824 may be resilient, such that the pulling head cancellous bone, rather than cortical bone Bcq Bca displaced, even though there may be cracks in the cortical bone at the sharp projecting portion is also true. 拉刀头1824可以通过导引器1800输送到髓内空间IS的靶标区域Rt。 Broach head 1824 through the introducer 1800 may be delivered to the target region Rt of intramedullary space IS. 靶标区域Rt图示为位于松质骨Bca内，但是能够位于松质骨Bca和皮质骨Bco中的任一个或两个中。 Rt target region illustrated as being located within the cancellous bone Bca, but can be located in the cancellous bone and cortical bone Bco Bca either one or both. 侧部模板1830和顶部模板1832与导引管1820对准。 And a top-side portion template 1830 1832 template 1820 aligned with the guide tube. 臂1831可以支承模板1830。 Support arm 1831 may be 1830 templates. 实施者可以设置模板1830和1832,使得模板1830和1832“投影”到靶标区域Rt上，使得导引器1800将拉刀头1824引导到靶标区域Rt中。 The practitioner may be provided templates 1830 and 1832, 1830 and 1832 so that the template "projected" onto the target region Rt, so that the guide 1800 to pull the guide tip 1824 in the target region Rt. 模板1830可以包括用于分别投影拉刀头1824的“扫过”区域和轴状结构1825的位置的叶片轮廓1834和轴轮廓1836。  template 1830 may include a head 1824 of each projection pull "sweep" the profile of the blade and the shaft 1834 and the shaft region of the contour position 1825 of the 1836 structure. 模板1832可以包括用于分别投影拉刀头1824的“扫过”区域和轴状结构1825的位置的叶片轮廓1838和轴轮廓1840。 Template 1832 may include a projection, respectively, pull the head 1824 "sweep" the profile of the blade profile 1838 and the shaft 1840 and the position of the area of ​​the shaft-like structure 1825. 模板1830和1832可以配置为投影可以被部署的任意合适器具例如钻具、取芯锯、假体器械或任意其他合适器具的形状。 Template 1830 and the projection 1832 may be configured to be deployed any suitable drilling appliance e.g., coring saw, the shape of the prosthesis device or any other suitable instrument. 荧光成像可以用来将模板1830和1832相对于靶标区域Rt定位。  Fluorescence imaging may be used to templates 1830 and 1832 with respect to the positioning of the target region Rt. 拉刀头1824可以在髓内空间IS中旋转以清除髓内骨物质，使得假体器械可以被植入。  Broach head 1824 can be rotated to remove substances intramedullary bone intramedullary space IS, so that the prosthetic device may be implanted. 拉刀头1824可以由拉刀控制部1826和拉刀鞘套1827驱动和支承。 Broach head 1824 may be driven by the control unit broach broach sheath 1826 and 1827 and the support. 导引器1800可以包括基部1802。  introducer 1800 may include a base 1802. 对准构件1804和1806可以从基部1802延伸以使导引器1800的导引器中心线CU与骨B的顶表面的骨中心线CLbs对准。 1804 and alignment member 1806 may extend from the base portion 1802 of the guide 1800 guide bone centerline aligned with the centerline of CU CLbs top surface of the bone B. 对准构件1804和1806中的一个或两个可以为弹性的。 Alignment members 1804 and 1806, one or two may be elastic. 对准构件1804和1806中的一个或两个可以为刚性的。 Alignment members 1804 and 1806, one or two may be rigid. 对准构件1804和1806 (未示出）可以沿着骨B的表面相对自由地滑动。  alignment members 1804 and 1806 (not shown) can slide relatively freely along the surface of the bone B. 导引器1800 可以包括接触部1808和1810,接触部1808和1810可以沿着中心线CLbs与骨B相接合。 Introducer 1800 may include a contact portion 1808 and 1810, the contact portion 1808 and 1810 may be engaged with the bone along the center line CLbs B. 接触部1808和1810可以从导引器1800的底表面(未示出）延伸。 1808 and 1810 may contact portion (not shown) from the bottom surface 1800 of the introducer extends. 接触部1808和1810可以防止导引器中心线CU旋转为与骨中心线CLbs不对准。 The contact portion 1808 and 1810 may prevent rotation of the introducer with the bone centerline CU CLbs centerline misalignment. 接触部1808和1810可以确保导引器1800与骨B的表面对准，这是由于两个接触点可以在不平坦的表面上是稳定的，即使在3个、4个或更多个接触部为不稳定的情况下也如此。  contacting portions 1808 and 1810 may ensure that the introducer 1800 is aligned with the surface of the bone B, which is due to the two contact points may be on an uneven surface is stable, even in the 3, 4 or more a case where the contact portion is also unstable so. 导引器1800可以包括横向夹板1812和1814 (未示出）。  1800 may include a lateral guide jaws 1812 and 1814 (not shown). 横向夹板1812和1814可以与骨B的表面相接合以防止导引器1800绕导引器中心线CU沿方向Θ旋转。 Lateral jaws 1812 and 1814 may be engaged with the surface of the bone B to prevent rotation about the guide 1800 Θ CU guide centerline direction. 横向夹板1812和1814可以为弹性的以容许在骨B上的一些滑动。 Lateral jaws 1812 and 1814 may be a number of elastic slide on the bone B to allow for. 当实施者将导引器1800设置在骨B上时，对准构件1804和1806可以为导引器1800 与骨B相接合的第一部件。  When the practitioner when the introducer 1800 is provided on the bone B, the alignment members 1804 and 1806 may be a guide and a bone B of the first member 1800 engaged. 对准构件1804和1806可以在接触部1808和1810以及夹板1812和1814与骨B相接合之前将导引器中心线CU带至与骨中心线CLbs对准。 Alignment members 1804 and 1806 may contact portions 1808 and 1810 and jaws 1812 and 1814 prior to the bone B engages with the guide to the centerline of the bone CU CLbs centerline aligned. 随后，在一些实施例中，夹板1812和1814可以与骨B相接合以抑制沿方向Θ的旋转。 Then, in some embodiments, jaws 1812 and 1814 may be engaged to inhibit rotation of the bone B in the Θ direction. 随后，在一些实施例中，接触部1808和1810可以沿着骨中心线CLbs与骨B相接合。 Then, in some embodiments, the contact portions 1808 and 1810 may engage the bone along the center line of the bone CLbs B. 接触部1808和1810可以具有锐利点以提供对导引器中心线CU与骨中心线CLbs去对准的进一步抵抗。 The contact portions 1810 and 1808 may have a sharp point to provide further resistance to guide the bone CU centerline to centerline CLbs aligned. 在一些实施例中，可能存在不多于两个的接触部(例如，1808和1810)以确保接触部与骨中心线CLbs在一直线上。 In some embodiments, there may be more than two contacts (e.g., 1808 and 1810) to ensure contact with the bone portion centerline CLbs on a straight line. 导引器1800可以包括柄干1816和抓握部1818。  introducer 1800 may include a handle 1816 and a grip portion 1818 dry. 实施者可以手动地抓住抓握部1818。 Practitioner may manually grasp the grip portion 1818. 在一些实施例中，扭矩限制器（未示出）可以被设置以限制实施者能够经由抓握部1818施加到接触部1808和1810上的扭矩。 In some embodiments, a torque limiter (not shown) may be provided to limit the torque applied to the practitioner can be 1808 and 1810 via a contact portion 1818 gripping portion. 导引管1820可以接收和引导任意合适的器具。  guide tube 1820 may receive and guide any suitable apparatus. 导引管1820可以定向为与手柄1816 成角度α。 Guide tube 1820 may be oriented at an angle α with the handle 1816. 在一些实施例中，角度α可以为固定的。 In some embodiments, the angle α may be fixed. 在一些实施例中，角度α可以为可调节的。 In some embodiments, the angle α may be adjustable. 在一些实施例中，模板1830和1832可以相对于导引管1820为固定的。 In some embodiments, the template 1830 and 1832 with respect to the guide tube 1820 may be fixed. 在一些实施例中（包括其中α是可调节的一些实施例和其中α是不可调节的一些实施例），导引管1820可以定向为使得导引管1820的轴线Ut在与柄干1816的轴线Lh基本相同的位置处与骨B相交。 (Wherein α some embodiments and is not adjustable in some embodiments include wherein α is adjustable), in some embodiments, guide tube 1820 may be oriented such that the axis of the guide pipe 1820 in the axis of the shank Ut dry 1816 Lh at substantially the same position with the bone B intersect. 抓握部1818由此将直接设置在孔部位H '的中心上。 Whereby the gripping unit 1818 disposed directly on the central portion of the hole H 'of. 导引器1800可以包括通道1842和1844(未示出）。  1800 may include a channel guide 1842 and 1844 (not shown). 杆1846和1848可以分别通过通道1842和1844插入穿过皮质骨Bco。 1846 and 1848, respectively, the rod can be inserted through the channels 1842 and 1844 through the cortical bone Bco. 杆1846和1848可以将导引器稳定在骨B上。 Guide rods 1846 and 1848 may stabilize the bone B. 杆1846和1848可以为基氏钢丝(K-wire)。 Rods 1846 and 1848 may be a K-wire (K-wire). 杆1846和1848可以使用丝线钻插入。 Rods 1846 and 1848 may be drilled using a wire insertion. 图19示出了示例性网1900。  FIG 19 illustrates an exemplary network 1900. 网1900可以代表可以与本文示出和描述的植入物相结合使用的网。 Network 1900 may represent the implant may be illustrated and described in conjunction with the network and use herein. 例如，网（例如网1900)可以包括在植入物900 (图9中所示）、植入物1000 (图10 中所示）、植入物1200 (图12中所示）、植入物1400 (图14中所示）、植入物1700 (图17中所示） 和任意其他合适的植入物中。 For example, the network (e.g., network 1900) may include, implant (shown in FIG. 12) in the implant 900 (shown in FIG. 9), the implant (shown in FIG. 10), the implant 12001000 1400 (shown in FIG. 14), the implant 1700 (shown in FIG. 17), and any other suitable implant. 网1900可以包括一个或多个单元例如单元1902。  Network 1900 can comprise one or more units, for example, 1902. 单元1902配置为接收锚定器1904。 Unit 1902 is configured to receive anchor 1904. 锚定器1904可以具有与锚定器(例如锚定器106、116和134 (图1中所示）、1006、1016和1020 (图10中所示）、1206和1208 (图12中所示)）和任意其他合适的锚定器类似的一个或多个结构。 1904 may have anchor with the anchor shown in (e.g. ), 1206 and 1208 anchors 106, 116 and 134 shown in (shown in FIG. 1), 1006,1016 and 1020 (FIG. 10 (FIG. 12 )) and any other suitable anchors or a plurality of similar structures. 单元1902可以具有开口，该开口大到足以在锚定器1904定向为垂直于单元1902时容许锚定器根部1906穿过单元1902而不会导致单元1902变形。  1902 may have an opening large enough to permit perpendicular to 1902 when the anchor passes through the root 1906 1902 1902 without causing deformation in the orientation 1904 to anchor. 这种单元可以称为“打开的单元”。 Such units may be referred to as "open cells." 如果锚定器1904将以倾斜的角度穿透单元1902,使得在垂直于锚定器1904的平面中存在比单元1902的整个开口小的开口时，单元1902可以变形以容纳根部1906。 If the anchor will be inclined angle of penetration 1904 1902, so that the entire unit is smaller than the opening of the opening 1902 is present in a plane perpendicular to the anchor 1904, 1902 may be modified to accommodate the root 1906. 单元1902可以借助于从闭合状体的扩展而为打开的。  1902 may extend from the closure by means of the shaped body is open. 单元1902可以制造为打开的状态。 1902 may be manufactured as an open state. 单元1902可以以打开的状态植入到骨B (图2中所示）。 Unit 1902 may be implanted into the open state bone B (shown in FIG. 2). 单元1902可以以闭合状态植入到骨B (图2中所示）。 Unit 1902 may be a closed state implant into bone B (shown in FIG. 2). 单元1902可以在部署到骨B中之后扩展。 Unit 1902 can be expanded after deployment into bone B, respectively. 图20示出了示例性管状网2000。  FIG 20 illustrates an exemplary tubular mesh 2000. （网2000可以为绕轴线Lw的圆筒形。仅仅示出了网2000的位于轴线Lw前方的一部分）。 (Screen 2000 may be cylindrical about the axis and Lw. It shows only a portion located in front of the axis Lw network 2000). 网2000可以代表可以与本文示出和描述的植入物相结合使用的网。 Network 2000 may represent the implant may be shown and described in conjunction with the network and use herein. 例如，网（例如网2000)可以包括在植入物900 (图9中所示）、植入物1000 (图10 中所示）、植入物1200 (图12中所示）、植入物1400 (图14中所示）、植入物1700 (图17中所示） 和任意其他合适的植入物中。 For example, the network (e.g., network 2000) may include, implant (shown in FIG. 12) in the implant 900 (shown in FIG. 9), the implant (shown in FIG. 10), the implant 12001000 1400 (shown in FIG. 14), the implant 1700 (shown in FIG. 17), and any other suitable implant. 网2000可以包括一个或多个单元，例如单元2002。  Network 2000 can comprise one or more units, for example, unit 2002. 单元2002配置为接收锚定器例如1904(图19中所示）。 Unit 2002 configured to receive the anchor, for example, (shown in FIG. 19) 1904. 单元2002可以具有开口，该开口大到不足以在锚定器1906定向为垂直于单元2002 时容许锚定器根部1906穿过单元2002而不会导致单元2002的变形。  unit 2002 may have an opening large enough not to allow the perpendicular to the cell 2002 when the anchor root unit 2002 through 1906 without causing deformation unit 2002 in 1906 is directed to the anchor. 这种单元可以称为“闭合单元”。 Such units may be referred to as a "closed cells." 如果锚定器2004将以垂直的角度穿透单元2002,使得在垂直于锚定器1904的平面中存在单元2002的完全开口时，单元2002将必须变形以容纳根部2006。 If the anchor 2004 perpendicular angle will penetrate unit 2002, 2002 is fully open, so that the cell is present in a plane perpendicular to the anchor 1904, the unit 2002 will have to be modified to accommodate the root 2006. 单元2002可以具有其中单元2002为闭合的机械平衡状态。  wherein unit 2002 may have a closed unit 2002 is a mechanical equilibrium state. 单元2002可以以闭合机械平衡状态部署在骨B (图2中所示）中。 Unit 2002 may be deployed in a bone B (shown in FIG. 2) to the closed state of mechanical equilibrium. 单元2002可以用来通过接收锚定器而固定骨碎片。 Unit 2002 may be used by a receiver fixed anchor bone fragments. 锚定器可以为具有根部但是没有锚定器接合结构(例如基氏钢丝）的锚定器。 The anchor may be a root, but without engaging the anchor structure (e.g., K-wire) anchors. 单元2002可以具有其中单元2002为打开的机械平衡状态。 Unit 2002 may have a unit 2002 which is an open state of mechanical equilibrium. 打开的和闭合单元均可以与具有与单元成宽范围的角度定向的根部的锚定器相接合。  The opening and closing unit can be directed into the angle of the unit having a wide range of root anchors engaged. 由于闭合单元必须变形以接收根部锚定器，因此闭合单元可能需要来自“后方”的较多支承以与锚定器相接合。 Since the closing unit must deform to receive the root of the anchor, thus closing unit may require more support from the "rear" to the anchor engaged with engagement. 图21示出了示例性导引器2100。  FIG 21 illustrates an exemplary introducer 2100. 导引器2100可以用来将一个或多个植入物部署在骨B中。 Introducer 2100 may be used to deploy one or more implants in the bone B. 植入物可以部署在接入孔中，例如图5中所示的接入孔、本文与植入物相结合描述的接入孔、或者任意其他合适的接入孔中的一个或多个。 The implant can be deployed in the access hole, the access hole shown for example in FIG. 5, herein, in combination with the implant described in the access hole, or any other suitable one or more access holes. 例如，导引器2100可以用来部署一个或多个植入物，例如构架100 (图1中所示）、植入物900 (图9中所示）、植入物1000 (图10中所示）、植入物1200 (图12中所示）、植入物1400 (图14中所示）、植入物1700(图17中所示)和任意其他合适植入物的元件中的一个或多个。 For example, introducer 2100 may be used to deploy one or more implants, such as frame 100 (shown in FIG. 1), the implant 900 (shown in FIG. 9), the implant 1000 (FIG. 10 as elements shown), the implant 1200 (shown in FIG. 12), the implant 1400 (shown in FIG. 14), the implant 1700 (shown in FIG. 17), and any other suitable implant in a or more. 为了简单起见，未示出裂纹例如FdPFa (图2中所示）。  For simplicity, not shown, for example, cracking (as shown in FIG. 2) FdPFa. 骨碎片例如Pb、PjPPh (图2中所示)可以在使用导引器2100植入植入物之前使用基氏钢丝暂时减小。 Bone fragments e.g. Pb, PjPPh (shown in FIG. 2) may be used before using the K-wire guide 2100 is reduced temporarily implant the implant. 导引器2100可以包括铰接框架2102。  2100 may include a guide hinged frame 2102. 框架2102可以包括参照臂2104。 Reference frame 2102 may include arm 2104. 框架2102可以包括参照臂2106。 Reference frame 2102 may include arm 2106. 参照臂2104可以在铰链2107处铰接到参照臂2106上。 Referring to the hinge arm 2104 may refer to the hinge arm 2106 at 2107. 参照臂2104可以支承导引管2108。 Referring to the support arm 2104 may guide tube 2108. 参照臂2104可以支承导引管2109。 Referring to the support arm 2104 may guide tube 2109. 参照臂2106可以支承导引管2110。 Referring to the support arm 2106 may guide tube 2110. 参照臂2106可以支承导引管2112。 Referring to the support arm 2106 may guide tube 2112. 导引器2100可以配置为安装示例性骨构架的元件E1、E2和E3。  introducer 2100 may be configured to install the sample bone architecture elements E1, E2 and E3. 元件E1、E2和E3可以对应于构架(例如构架100 (图1中所示)）的构架元件。 Elements E1, E2 and E3 may correspond to the frame (e.g., frame 100 (shown in FIG. 1)) of the frame element. 元件E1和E2可在接头心处相交。 Elements E1 and E2 may intersect at a joint center. 参照臂2104可以通过使导引管2108与元件E1*轴对准并且使导引管2109与接头J1 对准而与元件E1对准。  Referring arm 2104 may be aligned with the element E1 * E1 by shaft alignment guide tube and the guide member 2108 and the pipe 2109 is aligned with the joint J1. 锚定器例如^可以通过导引管2109部署。  ^ e.g. anchors deployed through the guide tube 2109. 锚定器例如A2可以通过支承在位置2114 中的一个处的导引管(未示出）部署。 A2 anchors may be deployed by, for example, supported in position in the guide tube 2114 (not shown) at a. 位置2114中的每一个可以与锚定器接收结构2116中的对应一个对准。 Each can be aligned with a receiving structure 2116 corresponding anchor position 2114. 参照臂2106可以移动角度δ以使导引管2110和2112对准以分别用于元件EdPE3的部署。  Referring arm 2106 may be moved an angle δ to the guide tubes 2110 and 2112 are used to align elements EdPE3 deployment. 元件E3可以前进以与锚定器接收结构Ro相接合。  element E3 may proceed to Ro and the receiving structure engages the anchor. 锚定器接收结构Ro可以包括锚定器接收结构122、锚定器接收结构700、锚定器接收结构1008、锚定器接收结构1032、锚定器接收结构1203、单元1902、单元2002、锚定器接收结构2116和任意其他合适的锚定器接收结构中的一个或多个。 Anchor receiving structure Ro may include an anchor receiving structure 122, the anchor receiving structure 700, the anchor receiving structure 1008, the anchor receiving structure 1032, the anchor receiving structure 1203, 1902, unit 2002, the anchor Tuner 2116 and a receiving structure or any other suitable more anchor in the receiving structure. 图22示出了示例性导引器2200。  FIG. 22 illustrates an exemplary introducer 2200. 导引器2200可以用来将一个或多个锚定器部署在骨B中。 2200 may be used to guide one or more anchor deployed in the bone B, respectively. 例如，导引器2200可以用来部署用于植入物(例如构架100 (图1中所示）、植入物900 (图9中所示）、植入物1000 (图10中所示）、植入物1200 (图12中所示）、植入物1400 (图14中所示）、植入物1700 (图17中所示)和任意其他合适植入物的元件中的一个或多个)的一个或多个锚定器。 For example, introducer 2200 may be used to deploy the implant (e.g., frame 100 (shown in FIG. 1), as shown in implant 900 (shown in FIG. 9), the implant 1000 (FIG. 10) implant 1200 (shown in FIG. 12), the implant 1400 (shown in FIG. 14), the implant 1700 (shown in FIG. 17) and any other suitable element in the implant or a) one or more anchors. 为了简单起见，未示出裂纹(例如FdPFa (图2中所示)）。  For simplicity, the crack is not shown (e.g. FdPFa (shown in FIG. 2)). 在使用导引器2100植入植入物之前，可以使用基氏钢丝使骨碎片(例如Pb、P4PPh(图2中所示)）暂时减小。 Before using the implant implantation guide 2100, the K-wire may be used so that the bone fragments (e.g.) as shown in Pb, P4PPh (FIG. 2) is temporarily reduced. 基氏钢丝可以用来钻出穿过骨碎片的导孔。  K-wire may be used to drill a pilot hole through the bone fragments. 基氏钢丝可以与锚定器接收结构（例如位于元件E4中的锚定器接收结构R)对准。 You may receive a K-wire configuration (e.g. located in the anchor element E4 receives configuration R) aligned with the anchor. 基氏钢丝可以穿过锚定器接收结构。 K-wire may be received through the anchor structure. 基氏钢丝可以穿过骨B的远离(相对于锚定器)锚定器接收结构的一部分。 K-wire may pass through a portion remote from the (with respect to the anchor) anchor a bone B of the receiving structure. 中空锚定器(例如中空锚定器A3)可以随后沿着基氏钢丝引入导孔中。 Hollow anchor (e.g., anchor hollow A3) may then be introduced along the K-wire guide holes. 中空锚定器A3可以前进以与锚定器接收结构相接合。 A3 hollow anchor may proceed to receive and engage the anchor structure. 中空锚定器A3可以前进以与远端骨部分相接合。 A3 hollow anchor may proceed to contact the distal bone engagement portion. 中空锚定器A3可以由此被部署以使一个或多个骨部分彼此固定。 A3 hollow anchor can thus be deployed to one or more bone portions to each other. 中空锚定器A3可以由此被部署以将一个或多个骨部分固定到元件E4上。 A3 hollow anchor can thus be deployed to one or more of the bone portion is fixed to the element E4. 导引器2200可以包括基部2202。  introducer 2200 may include a base 2202. 基部2202可以支承销钉2204。 Base 2202 may support pins 2204. 销钉2204可以与元件E4共轴接合。 Pin 2204 can be engaged with the coaxial element E4. 基部2202可以支承导轨2206。 2206 base 2202 may support rail. 滑动导引器2208可以在导轨2206上上下滑动。 Sliding guide 2208 can slide on the rail 2206 vertically. 端部支承件2212可以与基部2202相对地支承导轨2206。 End support member 2212 may be the base rail 2206 relative to 2202 is supported. 导引孔2210可以设置在滑动导引器2208中。 Guide hole 2210 may be provided in a sliding guide 2208. 基部2202、销钉2204和导轨2206可以配置为使得导引孔与锚定器接收结构R1对准。 Base 2202, pins 2204 and 2206 can be configured to receive a guide structure such that the guide hole is aligned R1 and anchor. 锚定器接收结构心可以包括锚定器接收结构122、锚定器接收结构700、锚定器接收结构1008、锚定器接收结构1032、锚定器接收结构1203、单元1902、单元2002、锚定器接收结构2116和任意其他合适的锚定器接收结构中的一个或多个。  anchor receiving structure core may include an anchor receiving structure 122, the anchor receiving structure 700, the anchor receiving structure 1008, the anchor receiving structure 1032, the anchor receiving structure 1203, 1902, cell 2002, 2116 and any one or more other suitable anchor structure receiving the anchor in the receiving structure. 导引孔2210可以具有基于基部2202、销钉2204和导轨2206的相对位置选取的方向、长度、宽度和直径中的一个或多个，以在基氏钢丝心穿过骨B前进时限制基氏钢丝K1的顶端T与锚定器接收结构R1相交。  2210 may have a guide hole 2202 based on the direction, the pin 2204 and the relative position of the base rail 2206 selected, the length, width and diameter of one or more of the bone B to advance while passing through the K-wire group's core restricts K1 tip wire T and the anchor receiving structure R1 intersect. 滑动导引器2208能够沿着导轨2206移动以适应不同尺寸的元件E4和锚定器接收结构办沿着元件E4的长度的不同位置。 Sliding guide along a guide rail 2208 can be moved 2206 to accommodate and anchor element E4 receives structures of different sizes at different locations along the length of the element do the E4. 基部2202可以在将滑动导引器2208维持在远离元件E4且面对元件E4的固定半径处的同时相对于销钉2204枢转。  2202 may be maintained remote from the base member while facing E4 and at a fixed radius relative to the element E4 pivot pin 2204 guide the slider 2208. 基部2202可以在将滑动导引器2208维持在远离锚定结构R且面对锚定结构R的固定半径处的同时相对于销钉2204枢转。 Base 2202 may be maintained at the sliding guide 2208 away from the anchoring structure while R and facing the anchor structure at a fixed radius R of the pin 2204 relative to the pivot. 基部2202可以包括一个或多个销钉接收部2214。  the base portion 2202 may include one or more pin receiving portions 2214. 销钉2204可以基于因素（例如元件E4相对于骨B的长轴线的角度和其他合适的因素）、软组织厚度、关联器件的间隙、和其他操作考虑而布置在接收部2214中的合适的一个中。 Suitable a pin 2204 may be based on factors (e.g., angle of the long axis relative to the bone B of the elements E4 and other appropriate factors), a gap of soft tissue thickness, associated with the device, and other operational considerations is disposed in the receiving portion 2214 in the. 接收部2214中的一个或多个可以用来支承辅助对准臂（未示出）、衬套支承件(未示出）、或者其他辅助器件。  or a plurality of receiving portions 2214 may be used to aid alignment of the support arm (not shown), the liner support (not shown), or other auxiliary devices. 图23示出了示例性导引器2300。  FIG 23 illustrates an exemplary introducer 2300. 导引器2300可以用来将一个或多个锚定器部署在骨B (图2中所示）中。 2300 may be used to guide one or more anchor deployed in the bone B (FIG. 2). 锚定器可以为基氏钢丝、螺钉或任意其他合适的锚定器。 The anchor may be a K-wire, screws or any other suitable anchor. 例如，导引器2300可以用来部署用于植入物(例如构架100 (图1中所示）、植入物900 (图9中所示）、植入物1000 (图10中所示）、植入物1200 (图12中所示）、植入物1400 (图14中所示）、植入物1700 (图17中所示)和任意其他合适植入物的元件中的一个或多个)的一个或多个锚定器。 For example, introducer 2300 may be used to deploy the implant (e.g., frame 100 (shown in FIG. 1), as shown in implant 900 (shown in FIG. 9), the implant 1000 (FIG. 10) implant 1200 (shown in FIG. 12), the implant 1400 (shown in FIG. 14), the implant 1700 (shown in FIG. 17) and any other suitable element in the implant or a) one or more anchors. 导引器2300可以包括一个或多个基部，例如基部2302。  introducer 2300 may include one or more of a base, for example, a base 2302. 基部2302可以包括用于支承植入物例如垂直于基部2302支承植入物接收部2304。 It may include a base portion 2302 for supporting an implant such as a vertical receiving portion 2304 of the implant 2302 to the support base. 植入物E5可以图示为取芯植入物。 The implant can be illustrated as coring E5 implant. 植入物E5可以包括取芯齿C。 The implant may comprise a core tooth E5 C. 植入物E5可以包括锚定器接收结构R2。 The implant may include an anchor E5 receiving structure R2. 植入物E5可以包括锚定器接收结构R3。 The implant may include an anchor E5 receiving structure R3. 植入物E5可以包括任意合适数量和任意合适类型的锚定器接收结构。 E5 implant may include any suitable number and any suitable type of anchor receiving structure. 例如，锚定器接收结构R2和R3可以包括锚定器接收结构122、锚定器接收结构700、锚定器接收结构1008、锚定器接收结构1032、锚定器接收结构1203、单元1902、单元2002、锚定器接收结构2116和任意其他合适的锚定器接收结构中的一个或多个。 For example, the anchor receiving structure R2 and R3 may include an anchor receiving structure 122, the anchor receiving structure 700, the anchor receiving structure 1008, the anchor receiving structure 1032, the anchor receiving structure 1203, 1902, unit 2002, 2116, and any other suitable anchor structure receiving the anchor structure receiving one or more. 基部2302可以支承平行于其中植入物E5被支承的方向的参照臂2306。  2302 may be supported by the base portion parallel to the direction in which the implant is supported E5 reference arm 2306. 参照臂2308可以包括导引孔2308。  Referring arm 2308 may include a guide hole 2308. 基部2302、接收部2304和参照臂2306可以配置为使得导引孔2308与锚定器接收结构R2和R3中的一个或多个对准。  base portion 2302, receiving unit 2304 and the reference arm 2306 may be configured such that the guide holes 2308 and the anchor receiving structure R2 and R3 are one or more alignment. 导引孔2308可以具有基于基部2302、接收部2304和参照臂2306的相对位置选取的方向、长度、宽度和直径中的一个或多个，以限制基氏钢丝KdPK3的顶端TdPT3与植入物E5的纵向轴线对准以有利于基氏钢丝与锚定器接收结构R2和R3相交。  2308 may have a guide hole on the base 2302, the relative position of the arm receiving portions 2304 and 2306 of the selected reference direction, the length, width and diameter of the one or more, in order to limit the K-wire tip TdPT3 the implant KdPK3 E5 longitudinal axis thereof to facilitate alignment of the K-wire and the anchor structure receiving R2 and R3 intersect. 基部2302可以在将参照臂2306维持在远离元件段且面对元件E5的固定半径处的同时相对于植入*E5枢转。  with reference to the base portion 2302 may be maintained while the arm 2306 at a fixed radius and facing away from the segment element with respect to the elements E5 E5 * implant pivot. 基部2302可以在将参照臂2306维持在远离锚定结构RdPR3且面对锚定结构R2和R3的固定半径处的同时相对于植入物E5枢转。 Reference base 2302 may be maintained while the arm 2306 away from and facing the anchoring structure RdPR3 anchoring structure at a fixed radius R2 and R3 of the implant with respect to the pivot E5. 元件2302 '和2302”可以代表基部2302相对于锚定器接收结构RdPR3的交替周向位置。例如，元件2302'示出为位于周向远离于、基部2302的角度η处。可选地，元件2302'和2302”可以代表包括一个、两个或多于两个的基部的导引器2300的实施例。  element 2302 'and 2302 "may represent the base 2302 with respect to the peripheral receiving structure RdPR3 alternately anchors to the position. For example, element 2302' is shown as being located in the circumferential direction away from the base at an angle η 2302. Alternatively , the elements 2302 'and 2302 "may represent include one, two or more than two embodiments of the base guide embodiment 2300. 在这些实施例中，基部2302、2302'和2302”可以共享接收部2304。在一些实施例中，基部2302、2302'和2302”中的一个或多个可以相对于基部中的另一个周向固定。 In these embodiments, the base 2302,2302 'and 2302 "can share receiving unit 2304. In some embodiments, the base 2302,2302' and 2302" may be one or more relative to the other in the circumferential direction of the base fixed. 在一些实施例中，基部2302、 2302 '和2302”中的一个或多个可以铰接并且能够相对于基部中的另一个周向移位。 In some embodiments, the base portion 2302, 2302 'and 2302 "and one or more may be hinged relative to the other in the periphery of the base to the shift. 图24示出了示例性多元件植入物2400。  FIG 24 illustrates an exemplary multi-element implant 2400. 植入物2400可以包括两个或更多个细长元件。 The implant 2400 may comprise two or more elongate elements. 植入物2400 图示为包括5 个元件：2402、2404、2406、2408和2410。 The implant 2400 is illustrated as including five elements: 2402,2404,2406,2408 and 2410. 元件2402、2404、2406、 2408和2410中的一个、一些或全部可以具有与植入物（例如构架100 (图1中所示）、植入物900 (图9中所示）、植入物1000 (图10中所示）、植入物1200 (图12中所示）、植入物1400 (图14 中所示）、植入物1700 (图17中所示)和任意其他合适植入物)的元件类似的结构。 Element 2402,2404,2406, 2408 a and 2410 may have some or all of the implant (e.g., frame 100 (shown in FIG. 1), the implant 900 (shown in FIG. 9), the implant 1000 (shown in FIG. 10), the implant 1200 (shown in FIG. 12), the implant 1400 (shown in FIG. 14), the implant 1700 (shown in FIG. 17), and any other suitable implant similar structures) elements. 例如，元件2402、2404、2406、2408和2410中的一个、一些或全部可以包括锚定器接收单元的网。 For example, a member 2402,2404,2406,2408 and 2410, the network may include some or all of the anchor receiving unit. 元件2402、2404、2406、2408和2410中的一个、一些或全部可以为可扩展的。 A 2402,2404,2406,2408 and 2410 elements, some or all of which may be extensible. 元件2402、2404、 2406、2408和2410中的一个、一些或全部可以为不可扩展的。 Elements 2402, 2404, 2406, 2408 and 2410 a, some or all may not extensible. 元件2402、2404、2406、2408和2410可以各向植入物2400提供结构强度。  elements 2402,2404,2406,2408 and 2410 may each provide structural strength to the implant 2400. 元件2402、 2404、2406、2408和2410可以各向植入物2400提供锚定器接收结构。 Element 2402, 2404,2406,2408, and 2410 may each provide a receiving structure to anchor the implant 2400. 在其中元件2402、2404、 2406、2408和2410包括锚定器接收单元的网的植入物2400的实施例中，锚定器(例如1904 (图19中所示)）可以沿着线性路径与1个、2个、3个、4个或更多个单元相接合。 In which the element 2402, 2404, 2406, 2408 and 2410 of embodiment 2400, the anchor comprises an anchor implant net receiving unit (e.g., 1904 (FIG. 19)) along a linear path and may be one, two, three, four or more engagement units. 当接合单元的数量增大时，植入物2400沿着锚定器轴向传递张力以及垂直于锚定器的轴线传递弯曲扭矩的能力增大。 When the number of engaging means is increased, the implant 2400 is transmitted along the tension anchor and axially perpendicular to the axis of the anchor is increased bending torque transfer capability. 植入物2400可以包括保持器2410。  The implant 2400 may include a retainer 2410. 保持器2410可以维持元件2402、2404、2406、 2408和2410的接入性。 Holder element 2410 may maintain access 2402,2404,2406, 2408 and 2410. 保持器2410可以包括环2412。 Holder 2410 may include a ring 2412. 环2412可以在应力释松切口2414的附近置于元件2402、2404、2406、2408和2410 中。 Ring elements 2402,2404,2406,2408 and 2412 may be placed in the vicinity of 2410 Excised Strain Relief port 2414. 骨栓2416可以置于元件2402、2404、2406、2408 和2410的端部中以使端部扩展且将环2412保持在位。 Bone plug member 2416 may be disposed end portions 2402,2404,2406,2408 and 2410 extended to the end portion 2412 and the ring is held in place. 环2412可以相对于彼此固定以保持元件2402、2404、2406、2408和2410的端部。 Ring 2412 may be fixed to each other with respect to an end portion holding member 2402,2404,2406,2408 and 2410. 植入物2400可以包括保持器2418。  The implant 2400 may include a retainer 2418. 保持器2418可以在与保持器2410纵向间隔开的位置处维持元件2402、2404、2406、2408和2410的接入性。 Holder 2418 may maintain access elements 2402,2404,2406,2408 and 2410 and 2410 at a location longitudinally spaced apart from the holder. 图25示出了沿着线25-25 (图24中所示)截取的植入物2400的视图。  FIG. 25 shows a view along lines 25-25 (shown in FIG. 24) taken implant 2400. 保持器2418可以沿着植入物2400的纵向轴线Lm设置。 Holder 2418 can be disposed along the longitudinal axis Lm of the implant 2400. 保持器2418可以包括径向臂2420,径向臂2420沿着半径R延伸且穿过位于元件2402、2404、2406、2408和2410中的径向内狭槽2422和径向外狭槽2424。 Holder 2418 may include a radial arm 2420, the arm 2420 extends radially along a radius R is located and through elements 2402,2404,2406,2408 and 2410 radially inner and radially outer slots 2422 2424 slots. 径向臂2420可以包括与径向内狭槽2422相邻的凹部（未示出），该凹部保持元件2402、2404、2406、2408和2410的位于最大径向位置处的部分。  with a radial arm 2420 may include a radially inner slot 2422 adjacent concave portions (not shown), the recess portion is located at a holding position of maximum radial elements 2402,2404,2406,2408 and 2410. 径向臂2420可以包括与径向外狭槽2424相邻的凹部（未示出），该凹部保持元件2402、2404、2406、2408和2410的位于最大径向位置处的部分。 Radial arm 2420 may include a radially outer slot 2424 adjacent concave portions (not shown), the recess portion is located at a holding position of maximum radial elements 2402,2404,2406,2408 and 2410. 用于可扩展元件的径向臂2420可以包括仅与内狭槽2422相对应的凹部以容许元件的径向外部分在扩展期间远离轴线Lm移位。 A recess radially expandable member 2420 may include only the arm within the slot 2422 corresponding to the radially outer portion of the member away from the axis Lm allowable displacement during expansion. 当元件收缩时，与内狭槽2422相对应的凹部可以从狭槽径向向外移位以容纳元件的扩展。 When the element is contracted, and the inner recess portion corresponding to the slot 2422 may be shifted to accommodate the expansion element radially outwardly from the slot. 图26示出了植入物2500的实施例，其中元件2402、2404、2406、2408和2410能够在骨B的内侧扩展。  FIG. 26 illustrates an embodiment 2500 of the implant, wherein the elements 2402,2404,2406,2408 and 2410 can be expanded inside the bone B. 为了图示植入物2500的扩展状态，植入物2500示出为没有保持器2410和2418。 To illustrate an expanded state thereof implant 2500, implant 2500 is shown as 2410 and 2418 is not maintained. 元件2402、2404、2406、2408和2410可以包括可扩展网（例如网1704)。 Elements 2402,2404,2406,2408 and 2410 may include extended network (e.g., network 1704). 网可以包括密度沿着轴线Lm变化的锚定器接收单元(未示出），使得在近端部2602处，植入物2500的总直径与远端部2604处的总直径不一样大。 Web may include changes in the density along an axis Lm anchor receiving unit (not shown), so that at the proximal end portion 2602, the overall diameter of the total diameter of the distal end portion 2604 of implant 2500 is not as large. 对于元件2402、2404、2406、2408和2410中的两个或更多个而言，单元密度沿着纵向轴线Lm的变化可以相同。 For two elements 2402,2404,2406,2408 and 2410 or more, the cell density may be the same along the longitudinal axis Lm changes. 对于元件2402、2404、2406、2408和2410中的两个或更多个而言，单元密度沿着纵向轴线Lm的变化可以不同。 For two elements 2402,2404,2406,2408 and 2410 or more, the change of the cell density along the longitudinal axis Lm may be different. 本文示出和描述的植入物(例如本文示出和描述的构架100 (图1中所示）、植入物900 (图9中所示）、植入物1000 (图10中所示）、植入物1200 (图12中所示）、植入物1400 (图14 中所示）、植入物1700 (图17中所示)和任意其他合适植入物)可以在任意骨例如骨B (图5中所示）中使用。  As used herein illustrated and described the implant (e.g., shown and described herein, the frame 100 (shown in FIG. 1), the implant 900 (shown in FIG. 9), the implant 1000 (FIG. 10 shown), the implant 1200 (shown in FIG. 12), the implant 1400 (shown in FIG. 14), the implant 1700 (shown in FIG. 17), and any other suitable implant) may be any e.g. bone using a bone B (shown in FIG. 5). 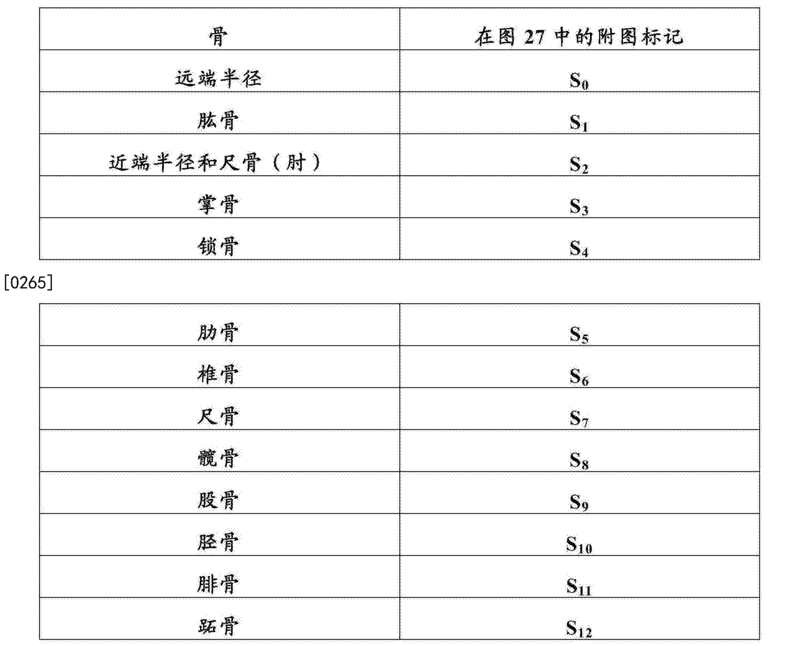 表2包括可以与骨B相对应的骨Si的部分列表。 Table 2 includes a partial list B may correspond to the bone a bone Si. 骨B可以与任意长骨相对应。 Bone B may correspond to any length phrenology. 图27示出了示意性骨骼S。  FIG. 27 shows a schematic skeletal S. 骨骼S包括示例性骨Si。 Skeletal bone sample S comprises Si. 图28示意性示出了骨B (图5中所示）的解剖结构。  FIG. 28 schematically shows the bone B (FIG. 5) of the anatomy. 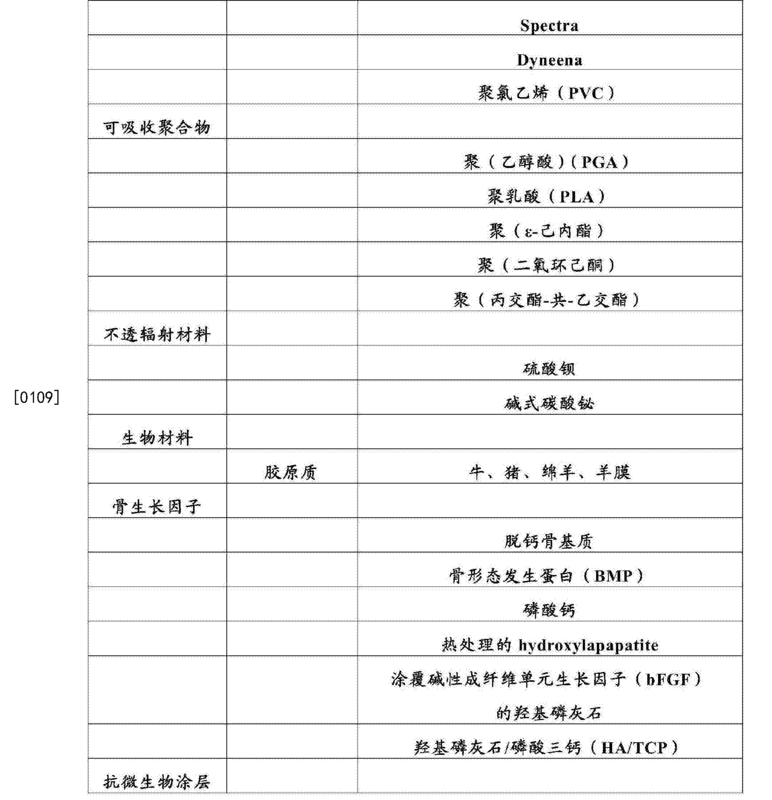 骨B的解剖结构在表3中列出。 Bone anatomy B are listed in Table 3. 根据本发明的原理的装置和方法可以涉及表3中所示的解剖结构中的一个或多个。 The principle of the method and apparatus of the present invention may involve one or more anatomical structures table shown in FIG. 3 in. 骨B的结构可以参照骨轴线Lb (其中B表示骨)和半径Rb ((其中B表示骨)进行描述。 Bone structure B may refer to bone axis Lb (wherein B represents a bone) and the radius Rb ((wherein B represents a bone) will be described. 术语“端骨”和“端骨骨折”可以用来指代在长骨的骨骺或干骺端区域中发生的骨折。  The term "bone end" and "side fracture" may be used to refer to fractures that occur in the epiphyseal or metaphyseal region of long bones. 这些骨折包括关节周围及关节内骨折。 These fractures include peri-articular and intra-articular fracture. 因此，已经提供了用于骨折修复的装置和方法。  Thus there has been provided an apparatus and method for fracture repair. 本领域的技术人员应当明白，本发明能够以与所述实施例不同的实施例进行实践，所述实施例提供用于说明性而非限制性的目的。 Those skilled in the art will appreciate, embodiments of the present invention can be implemented in different embodiments to practice the object of the embodiment is provided for illustrative and not restrictive of the embodiment. 本发明仅仅由下面的权利要求限制。 The present invention is limited only by the following claims. 1. 一种骨构架，包括细长构件，所述细长构件中的每一个配置为： 基本完全插入骨内；并且随后， 锁定到所述细长构件中的另一个上，所述细长构件在所述骨内侧限定三角形区域， 其中， 多个所述细长构件包括软骨下构件和倾斜构件， 所述软骨下构件配置为从第一软骨下位置跨到第二软骨下位置， 所述软骨下构件包括： 无孔管状部分;和网状管状部分， 所述倾斜构件包括具有锚定器通孔的柄脚； 所述软骨下构件包括： 配置成用于接纳所述柄脚的狭槽； 第一锚定器接收结构;和第二锚定器接收结构， 并且，在所述柄脚被所述狭槽接纳之后，所述倾斜构件配置成借助于通过所述软骨下构件的第一锚定器接收结构、所述柄脚的锚定器通孔和所述软骨下构件的第二锚定器接收结构的骨锚定器而结合到所述软骨下构件。 1. A bone architecture, comprising an elongate member, said elongate members each configured to: substantially fully inserted in the bone; and then, the other to lock said elongated member, said elongated the inner member defines a triangular bone region, wherein said elongated member comprises a plurality of subchondral member and the inclined member, the cross member is configured to subchondral from that in the first position to the second cartilage chondrocytes, the subchondral member comprising: a non-porous tubular portion; and mesh tubular portion, the inclined member comprises a tang having a through-hole of the anchor; under the cartilage member comprising: a slot configured to receive the tang ; receiving a first anchor structure; and a second anchor receiving structure, and, after the tang in the slot is received, by means of the inclined member is configured by a first member in said cartilage anchor receiving structure, the bone anchor anchor through hole of the tang and the subchondral member receives a given structure bonded to the second anchor member cartilage. 2. 如权利要求1所述的构架，其中： 所述骨限定二分纵向平面；以及所述倾斜构件配置成从第一软骨下位置跨到第二骨干位置，所述第二骨干位置从所述第一软骨下位置倾斜地横过所述二分纵向平面。 2. A frame according to claim 1, wherein: the bone defining a longitudinal half plane; and the inclined member is arranged across from a first position to a second backbone cartilage position, said second position from said backbone position obliquely across the longitudinal plane of the first half of the cartilage. 3. 如权利要求2所述的构架，其中，所述倾斜构件是第一倾斜构件，并且所述细长构件还包括配置为从第二软骨下位置跨到第一骨干位置的第二倾斜构件，所述第一骨干位置从所述第二软骨下位置倾斜地横过所述平面。 3. The frame according to claim 2, wherein the inclined member is a first inclined member and the elongated member further comprises a second inclined member is configured to span from the second position to the first shaft position cartilage the first key in the second position from the inclined position cartilage across the ground plane. 4. 如权利要求3所述的构架， 其中，所述第一倾斜构件为管状的。 4. A frame according to claim 3, wherein the first inclined member is tubular. 5. 如权利要求3所述的构架，其中，所述细长构件还包括从所述第一骨干位置跨到所述第二骨干位置的骨干构件。 5. A frame according to claim 3, wherein said elongated member further comprises a position across from the first shaft to the second shaft member position backbone. 6. 如权利要求1所述的构架，其中，所述网状管状部分包括为多个单元中的一个的单元，每个单元配置为接收骨锚定器。 6. A frame according to claim 1, wherein said web comprises a tubular portion of a plurality of units of units each configured to receive a bone anchor. 7. 如权利要求6所述的构架，其中，所述单元为打开的单元。 7. A frame according to claim 6, wherein said unit cell is open. 8. 如权利要求7所述的构架，其中，所述单元为闭合单元。 8. A frame according to claim 7, wherein said unit is a closed unit. 9. 如权利要求1所述的构架，其中，所述网状管状部分为可扩展的。 9. A frame according to claim 1, wherein the mesh of the tubular portion to be extended. 10. 如权利要求5所述的构架，其中，所述骨干构件包括骨干管状结构。 10. The structure of claim 5, wherein said key member comprises a tubular structure backbone. 11. 如权利要求10所述的构架，其中，所述骨干管状结构包括为多个单元中的一个的单元，每个单元配置为接收骨锚定器。 11. A frame according to claim 10, wherein the tubular structure comprises a plurality of backbone units in a unit, each unit is configured to receive a bone anchor. 12. 如权利要求11所述的构架，其中，所述单元为打开的单元。 12. The frame of claim 11, wherein said unit cell is open. 13. 如权利要求12所述的构架，其中，所述单元为闭合单元。 13. The frame of claim 12, wherein said unit is a closed unit. 14. 如权利要求11所述的构架，其中，所述骨干管状结构为可扩展的。 14. The frame of claim 11, wherein the backbone of the tubular structure to be expanded. 15. 如权利要求10所述的构架，其中，所述骨干构件配置为在所述第二骨干位置处与所述第一倾斜构件直接接合。 15. A frame according to claim 10, wherein the key member is configured to directly engage the first inclined member at the second position in the backbone. 16. 如权利要求10所述的构架，其中： 所述第二倾斜构件配置为将沿相对于所述骨的纵向轴线的径向向外方向的压缩力传递到所述第一骨干位置；以及所述骨干构件配置为将沿相对于所述纵向轴线的径向向内方向的张力传递到所述第一骨干位置。 16. A frame according to claim 10, wherein: the second inclined member configured to transfer the compressive force radially outward with respect to the direction of the longitudinal axis of the bone to the backbone of the first position; the backbone member is configured to communicate to the first position in the backbone relative to the radially inward direction of the longitudinal axis of the tension. 17. 如权利要求16所述的构架，其中，所述第二倾斜构件和所述骨干构件配置为使得径向向外的压缩力具有与径向向内的张力的大小基本相同的大小。 17. The frame according to claim 16, wherein the second inclined member and the backbone member is configured such that a radially outward compressive force having a magnitude substantially radially inward tension of the same size. 18. 如权利要求15所述的构架，其中： 所述第一倾斜构件和所述第二倾斜构件能配置为形成结点； 所述第一倾斜构件配置为将压缩力从所述第一软骨下位置传递到所述结点;并且所述结点配置为： 将所述压缩力的第一部分沿着所述第一倾斜构件传递到所述第二骨干位置；以及将所述压缩力的第二部分沿着所述第二倾斜构件传递到所述第一骨干位置。 18. The frame according to claim 15, wherein: said first inclined member and the second member is configured to form an inclined junction; the first inclined member configured to compress the first force from cartilage the position is transmitted to said node; and the junction is configured to: the first portion of the compressive force is transmitted along the first inclined member to the second position of the backbone; and the compressive force of two inclined portion transmitted along the second member to the first position of the backbone. 19. 如权利要求15所述的构架，其中： 所述第一倾斜构件和所述第二倾斜构件能配置为形成结点； 所述第二倾斜构件配置为将压缩力从所述第二软骨下位置传递到所述结点;并且所述结点配置为： 将所述压缩力的第一部分沿着所述第一倾斜构件传递到所述第二骨干位置；以及将所述压缩力的第二部分沿着所述第二倾斜构件传递到所述第一骨干位置。 19. The frame according to claim 15, wherein: said first inclined member and the second member is configured to form an inclined junction; the second inclined member configured to the second compressive force from cartilage the position is transmitted to said node; and the junction is configured to: the first portion of the compressive force is transmitted along the first inclined member to the second position of the backbone; and the compressive force of two inclined portion transmitted along the second member to the first position of the backbone. ES2359497T3 (en) * 2002-10-29 2011-05-24 Tantum Ag Nail for treating bone fractures. ES2251888B1 (en) * 2005-11-08 2007-04-01 Carlos Enrique Morales Berenguer Delta device for the treatment of trochanteric fractures of the femur and subtocantericas.